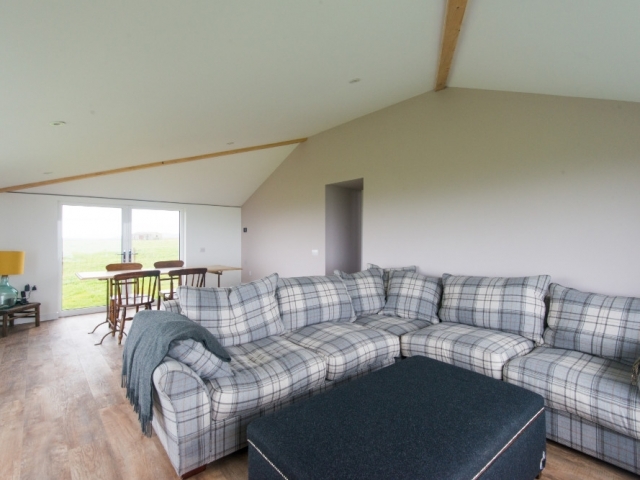 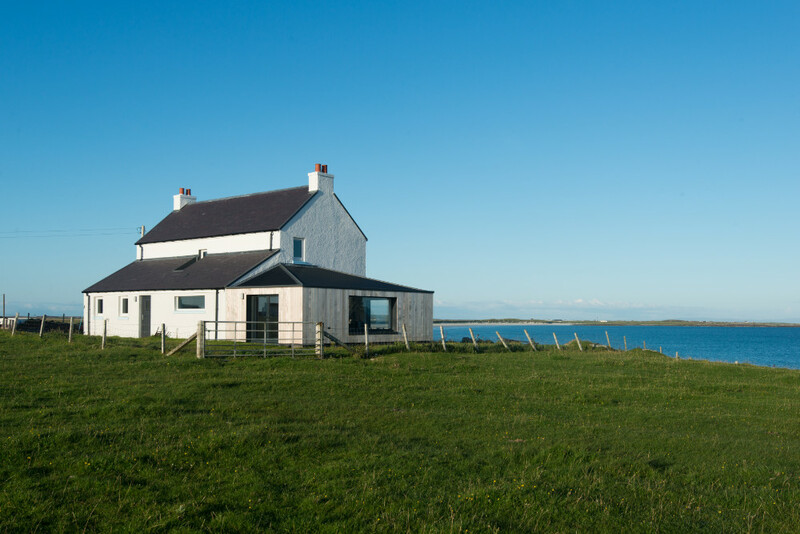 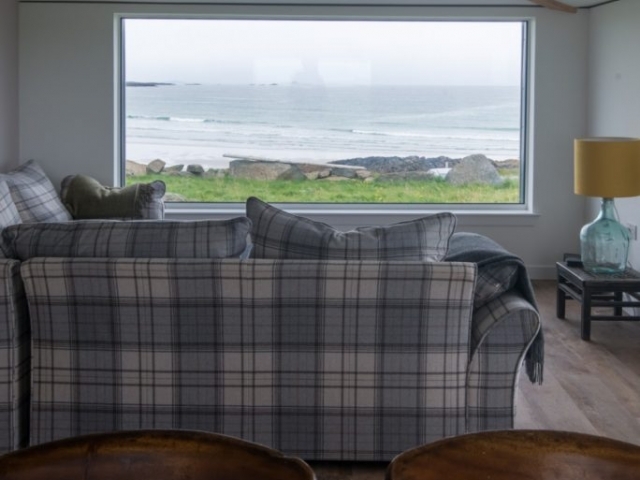 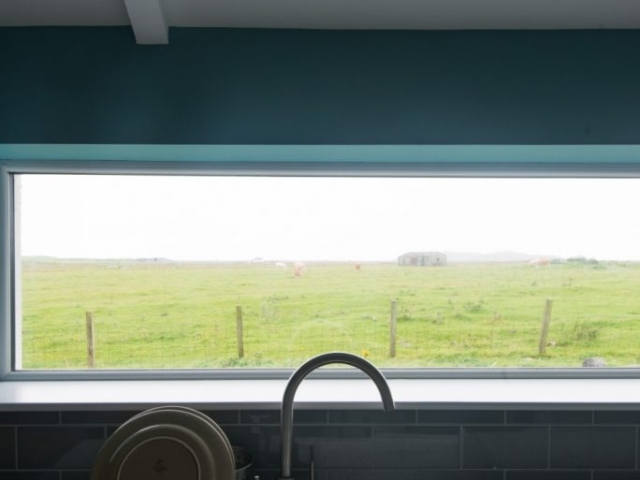 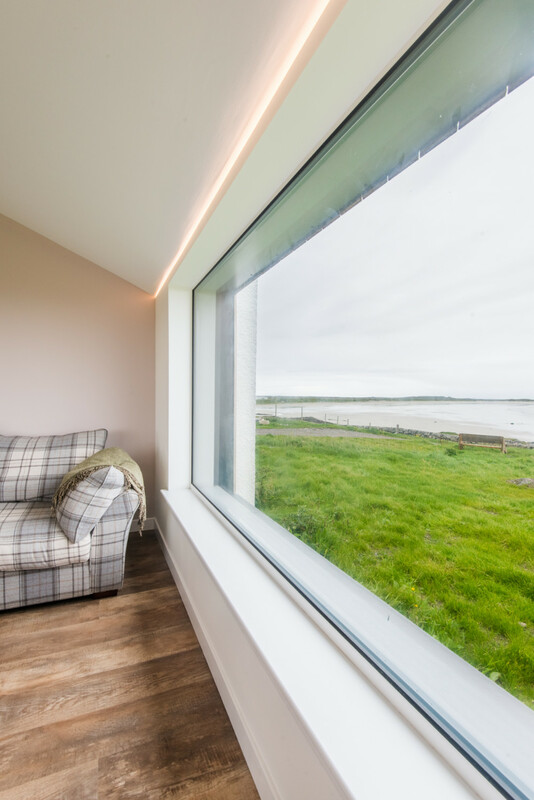 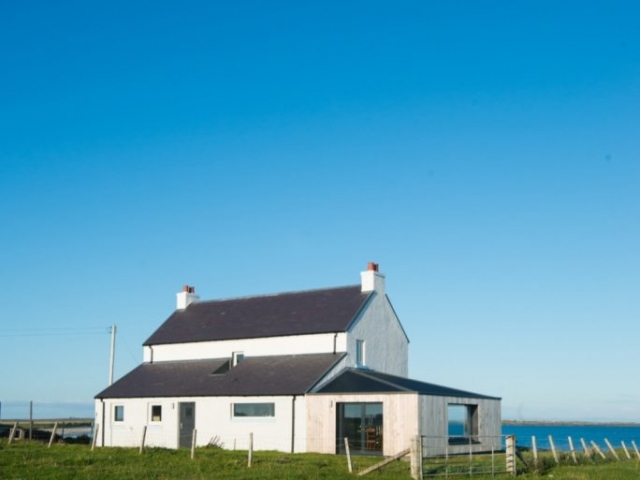 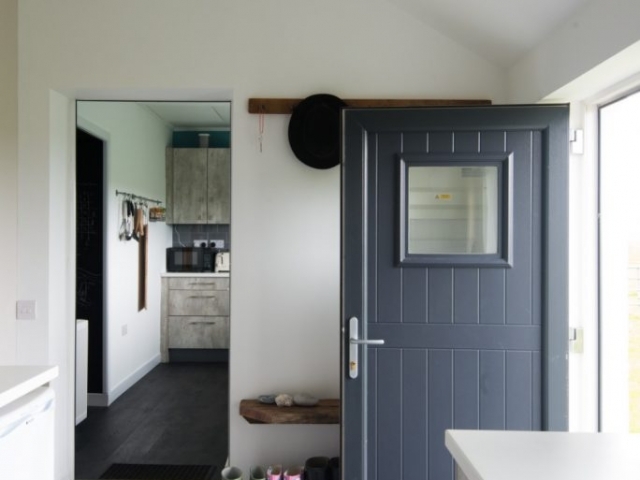 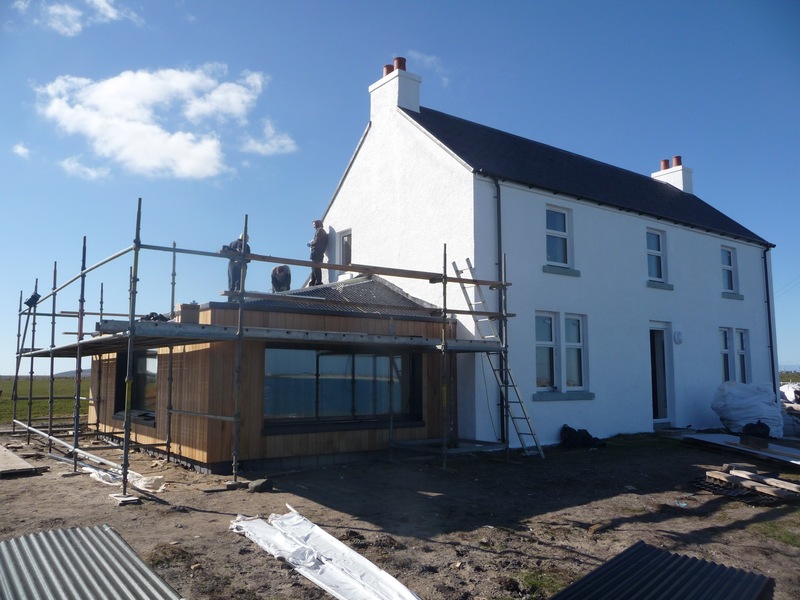 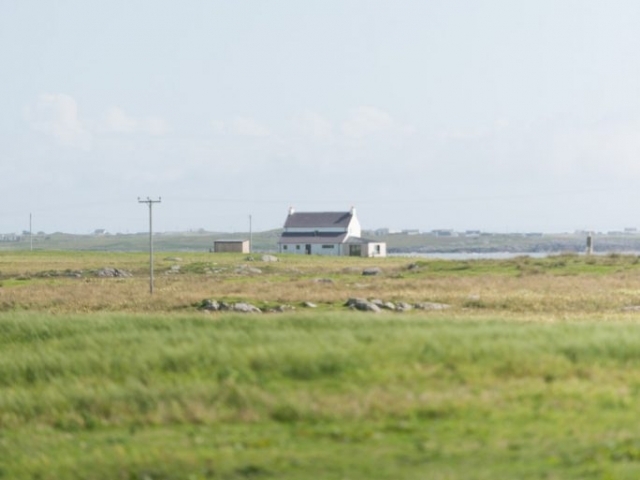 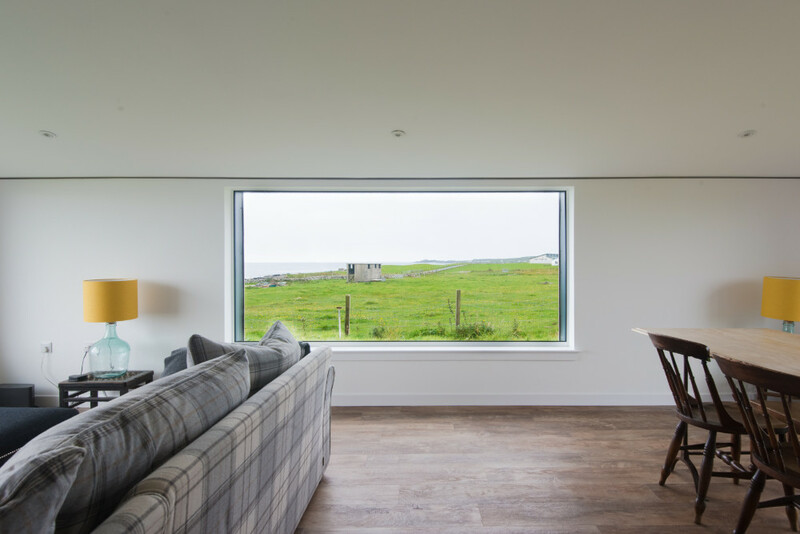 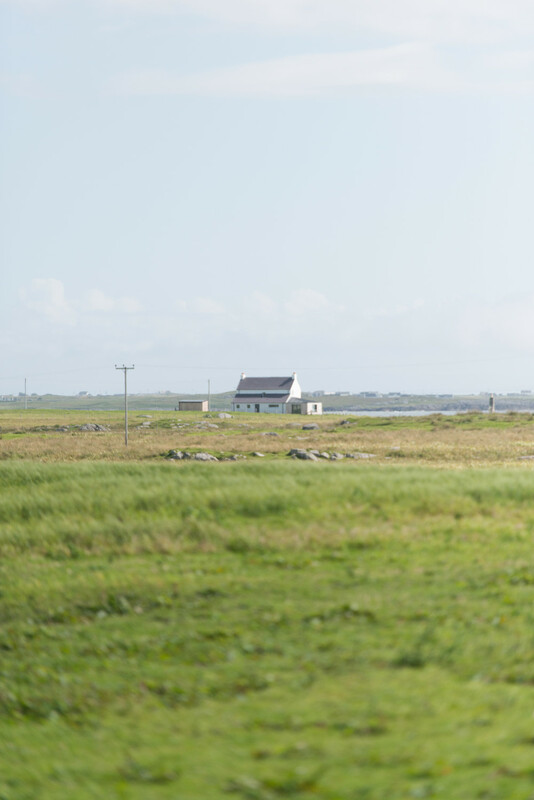 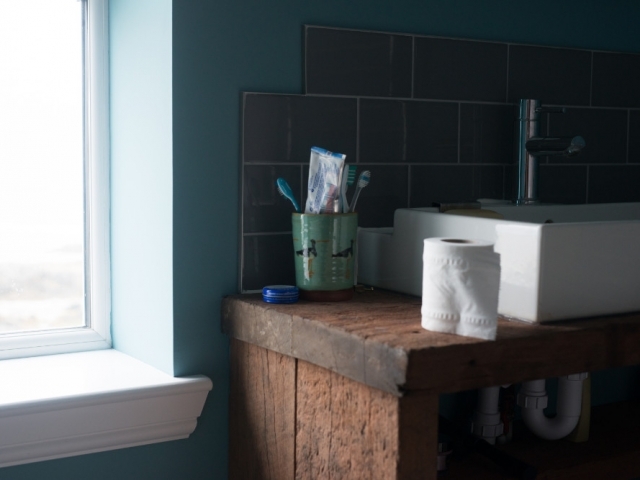 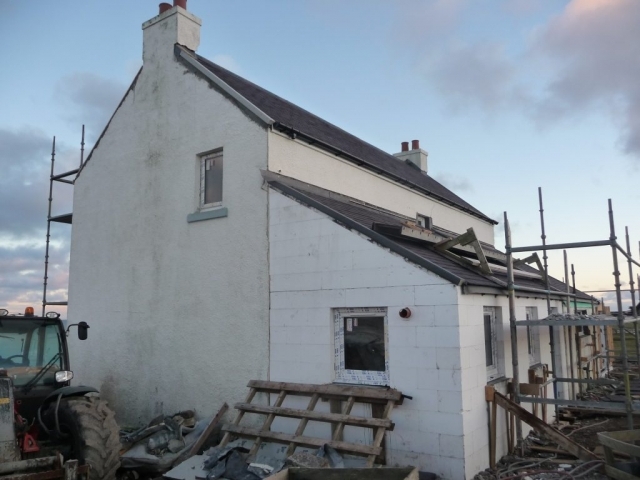 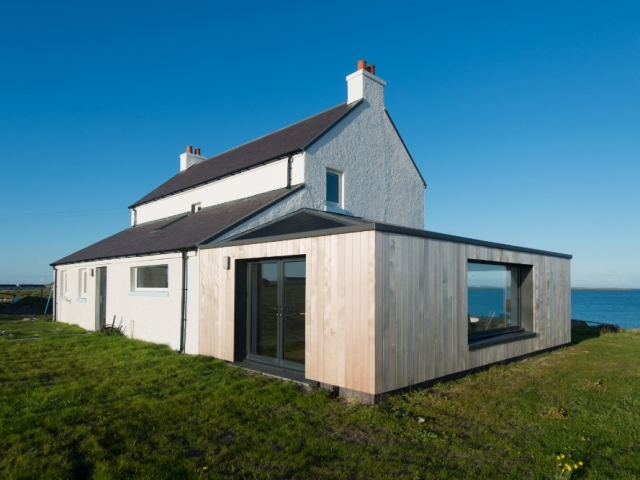 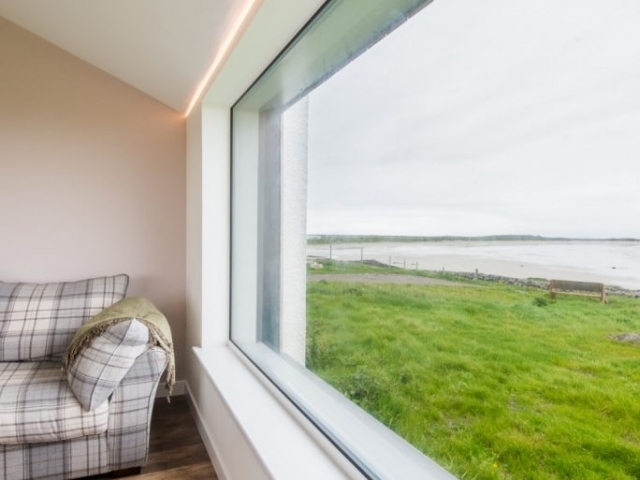 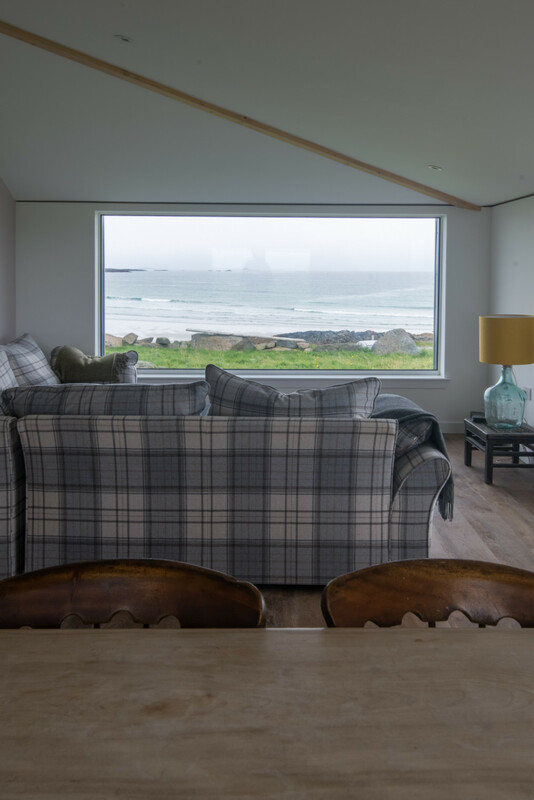 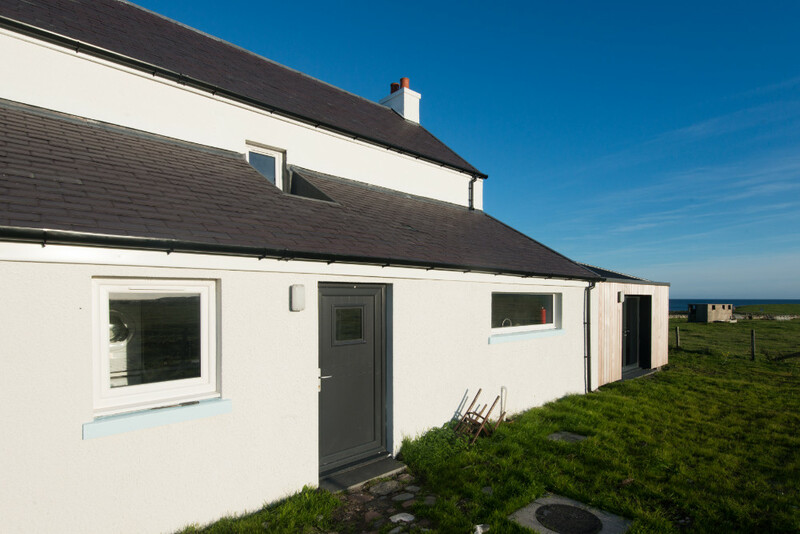 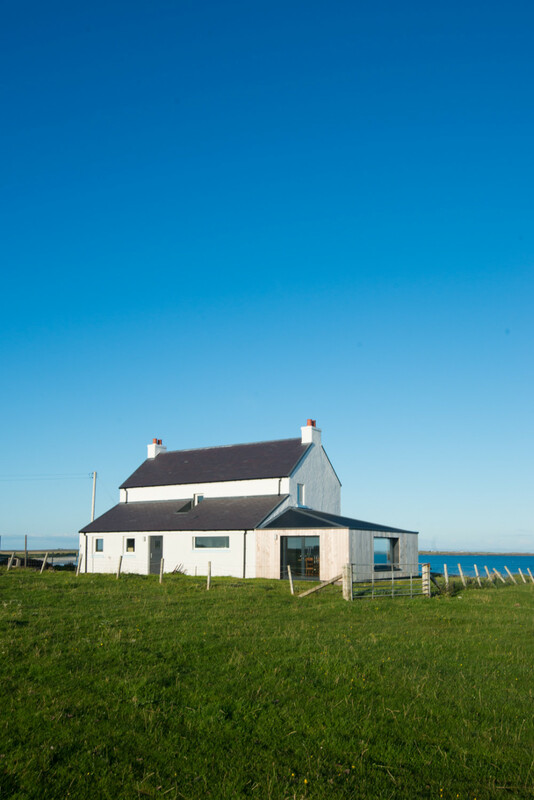 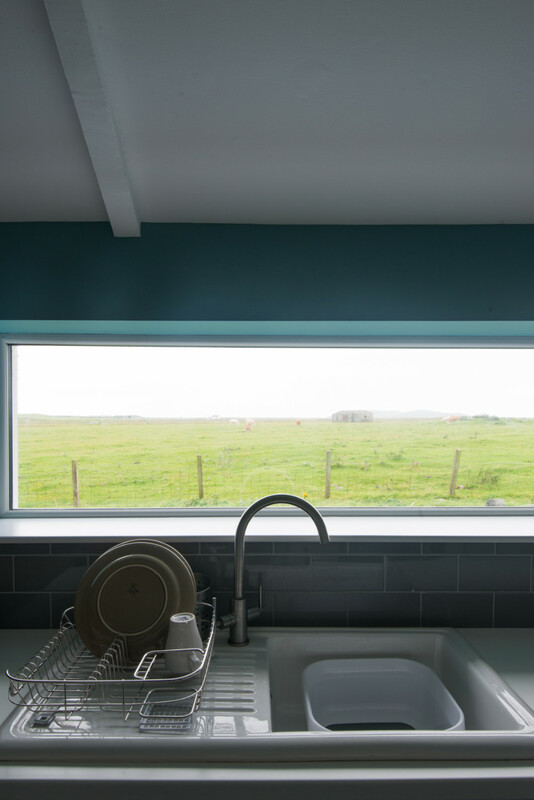 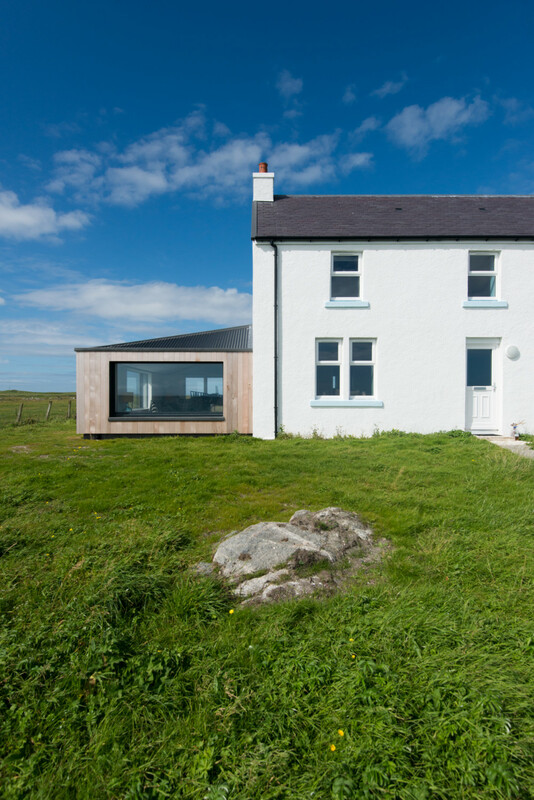 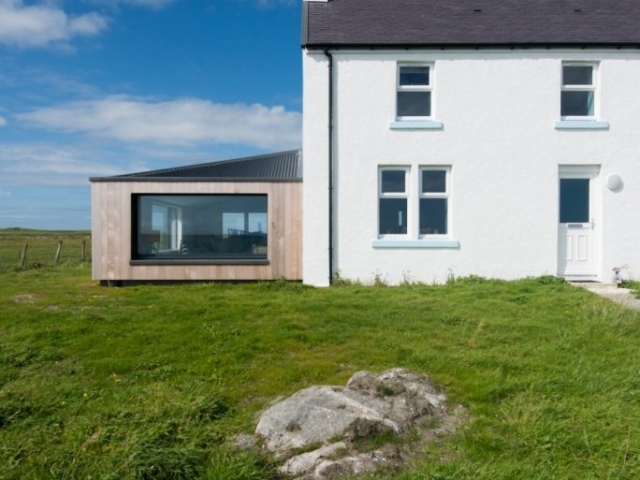 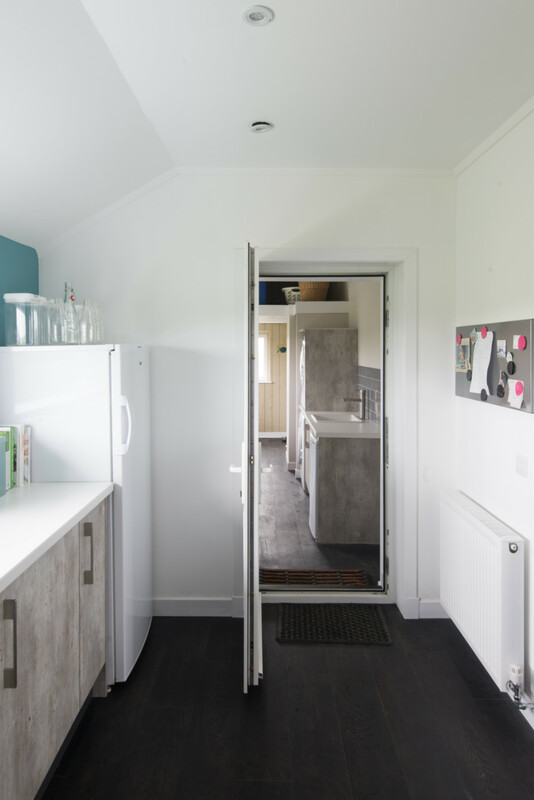 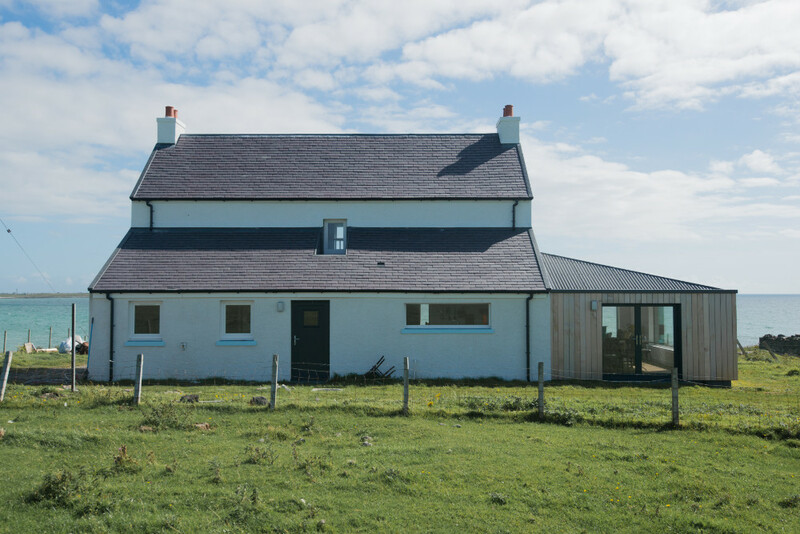 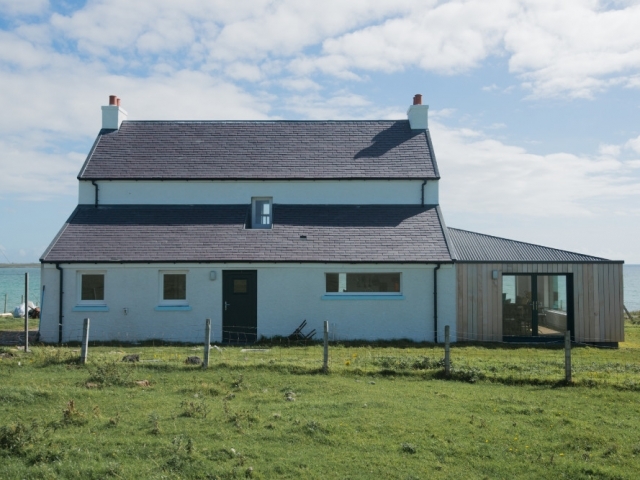 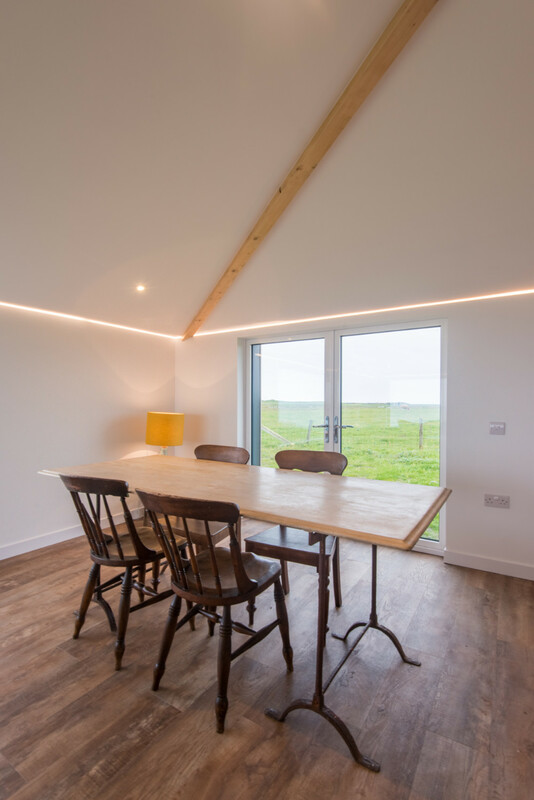 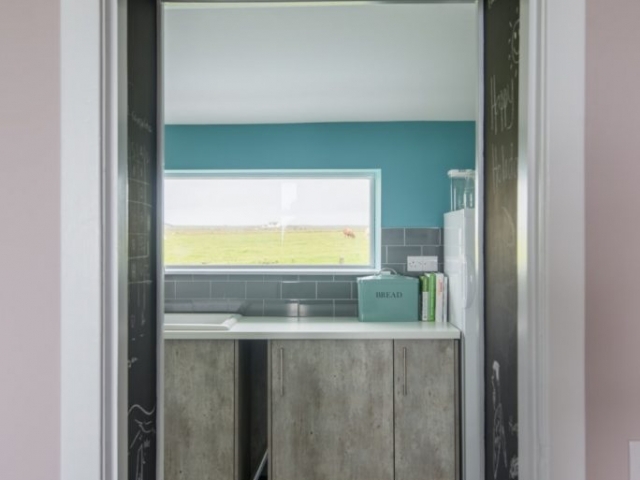 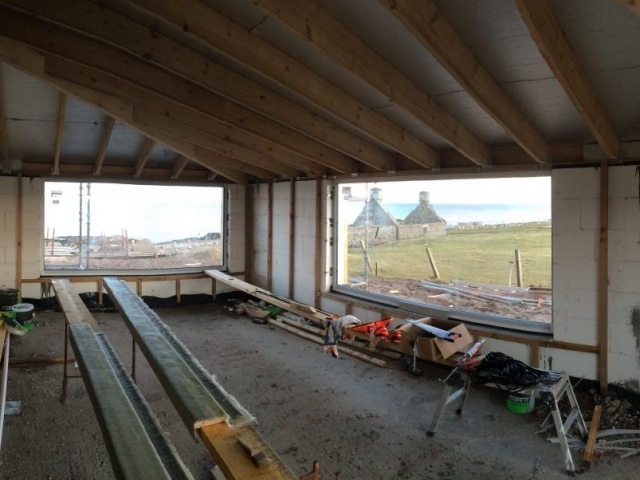 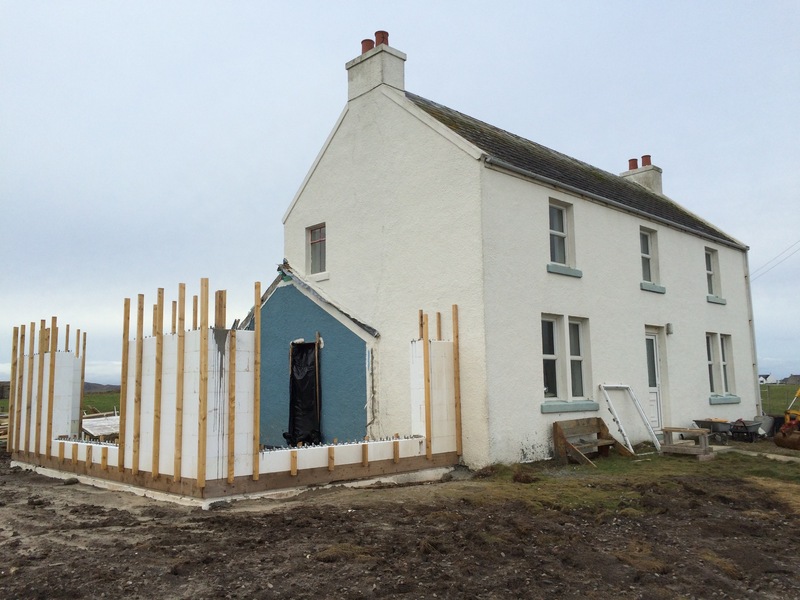 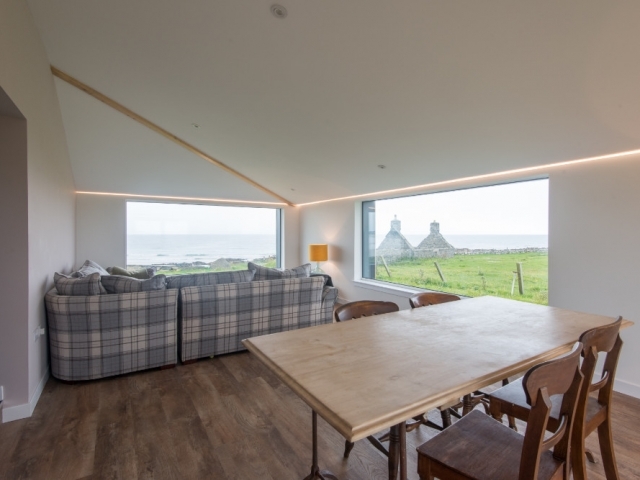 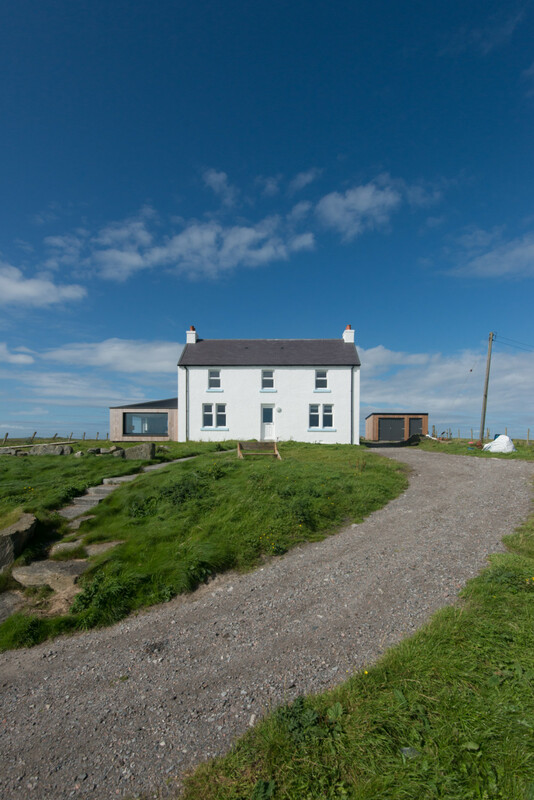 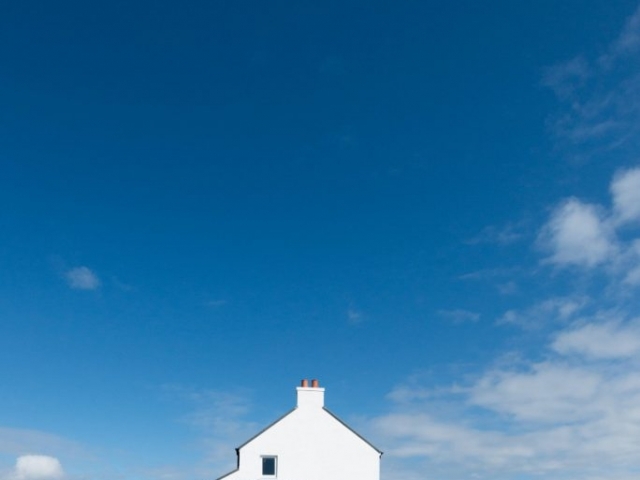 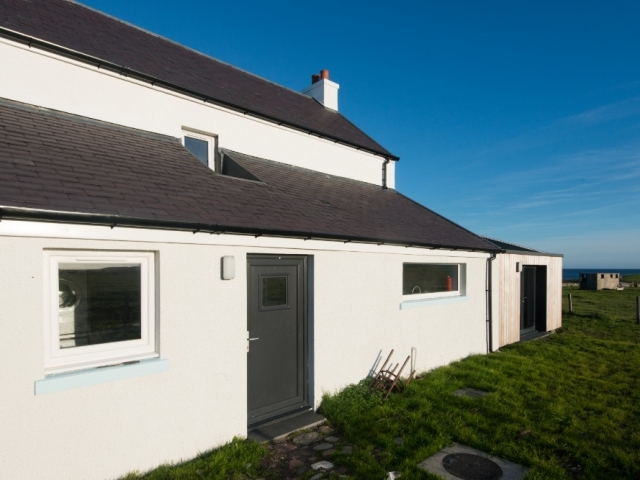 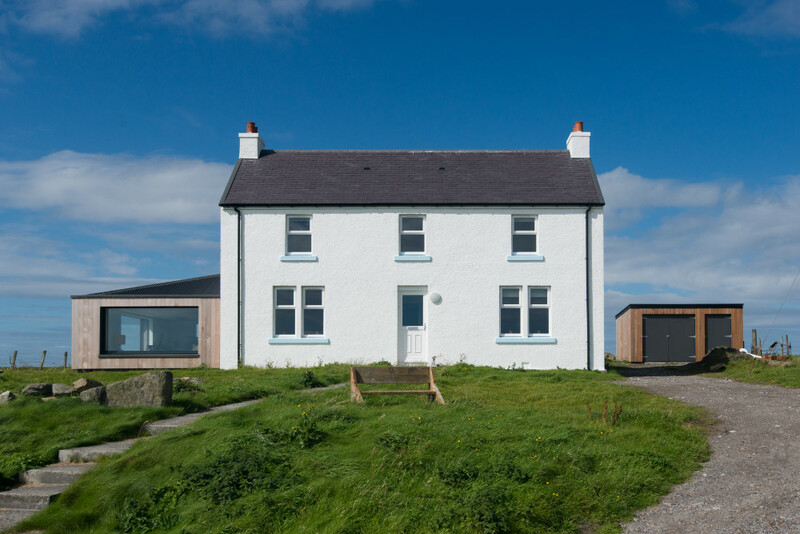 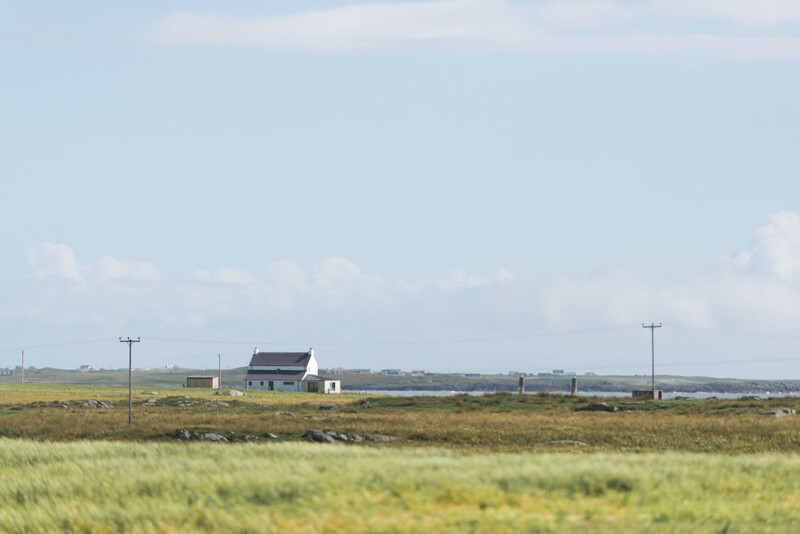 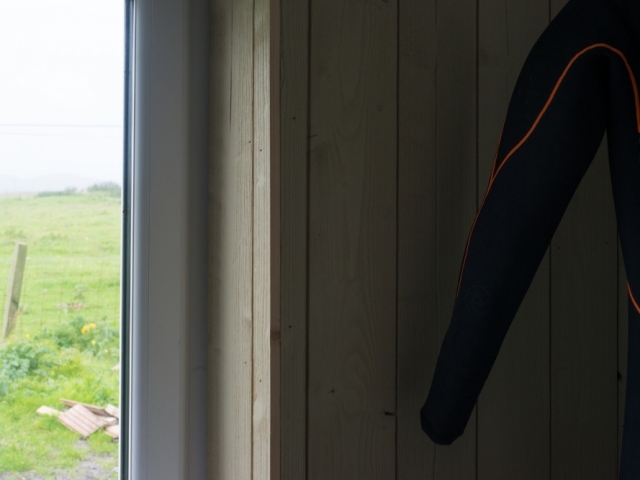 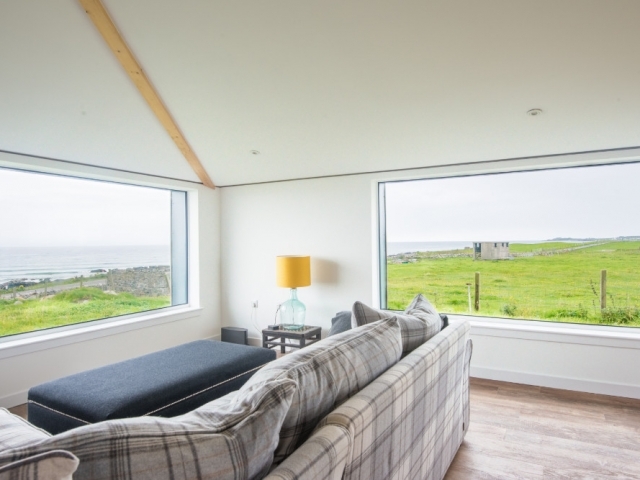 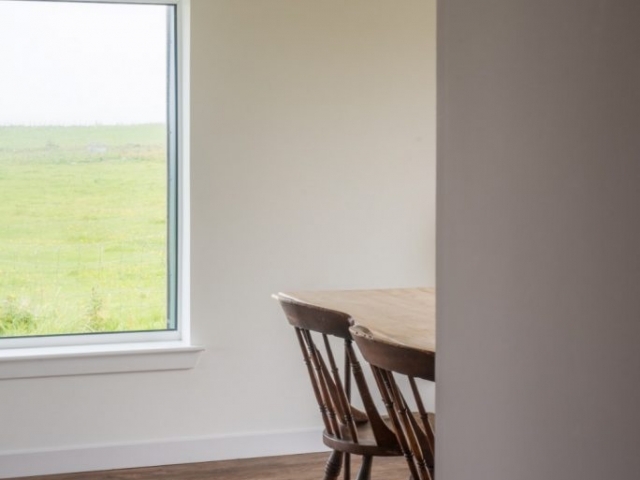 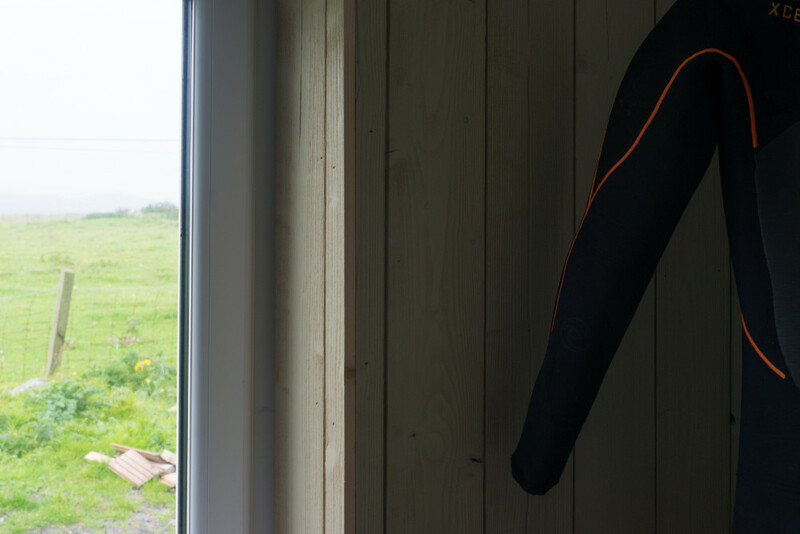 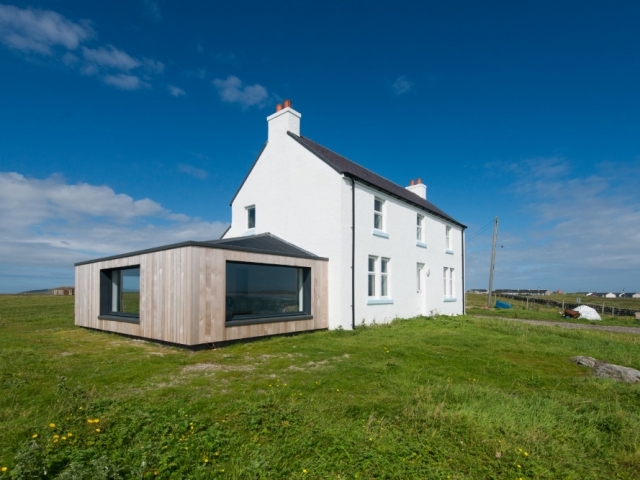 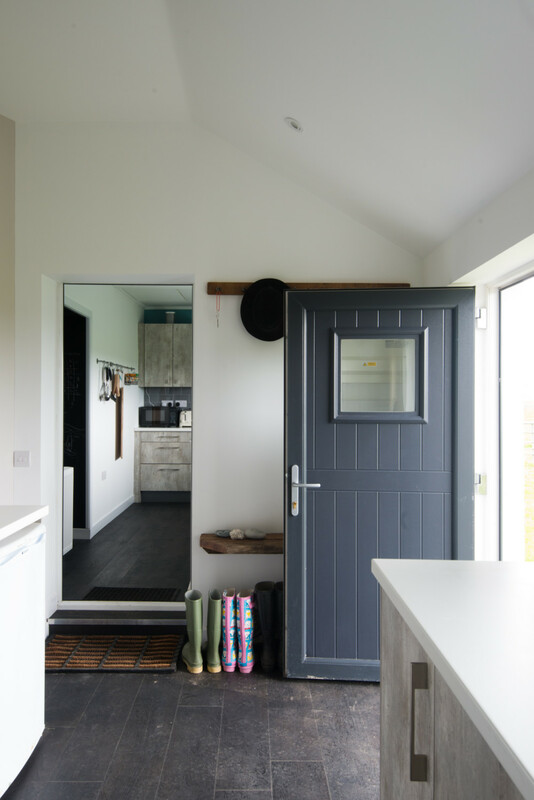 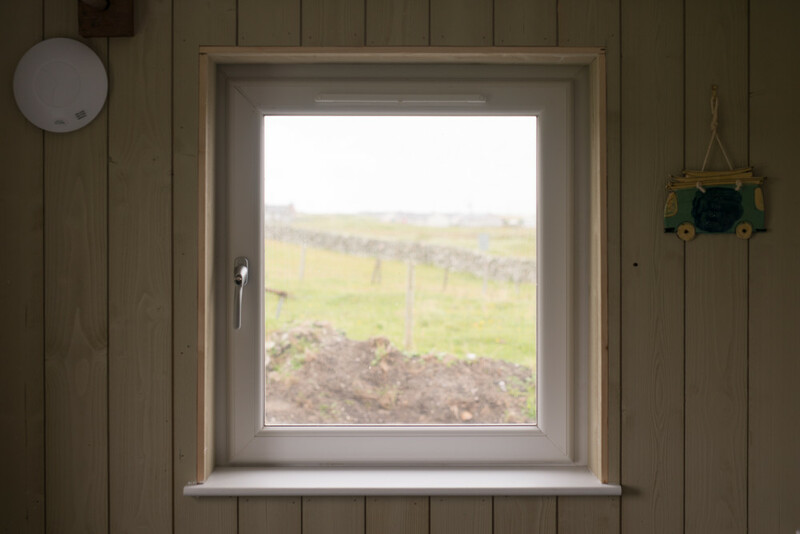 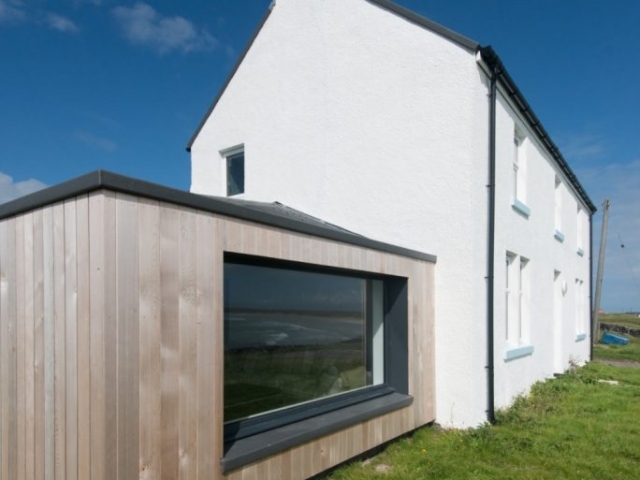 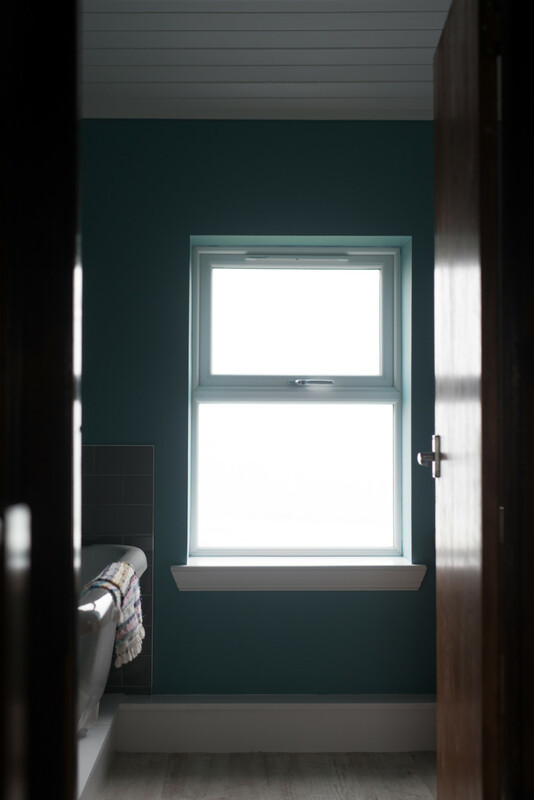 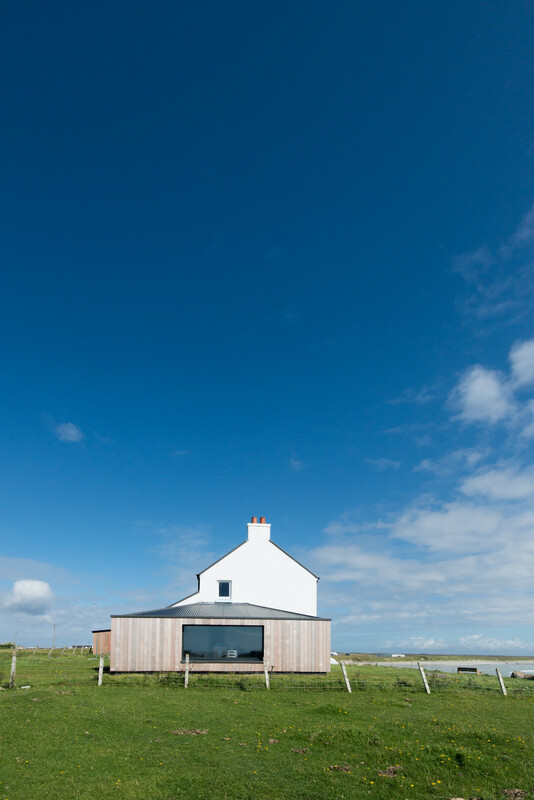 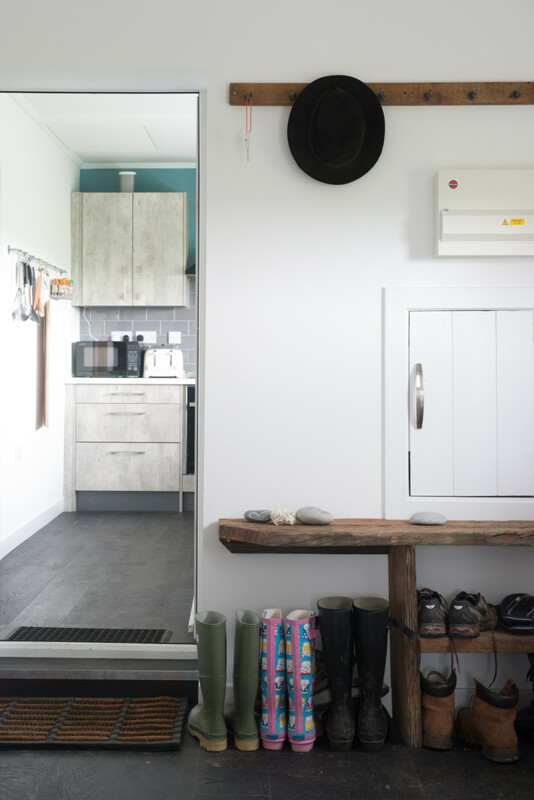 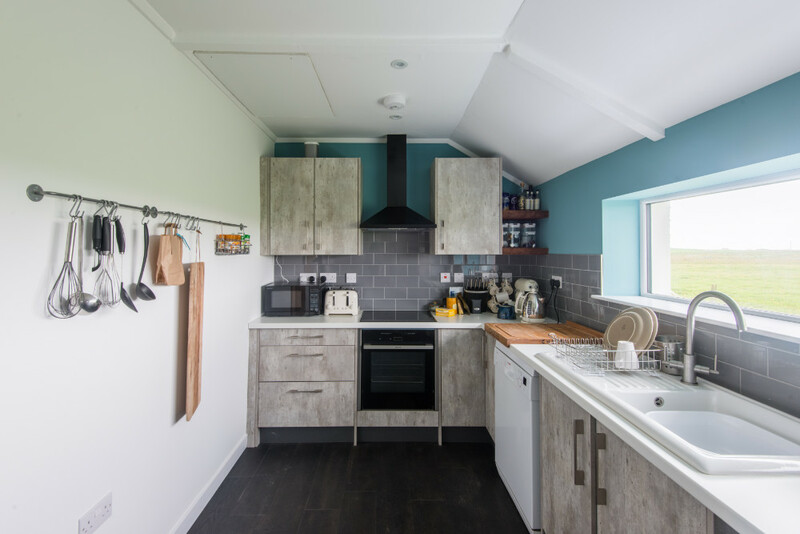 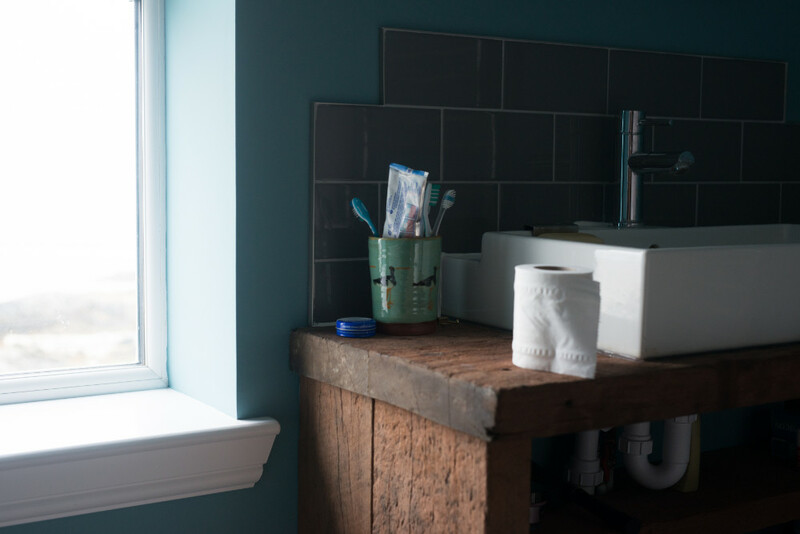 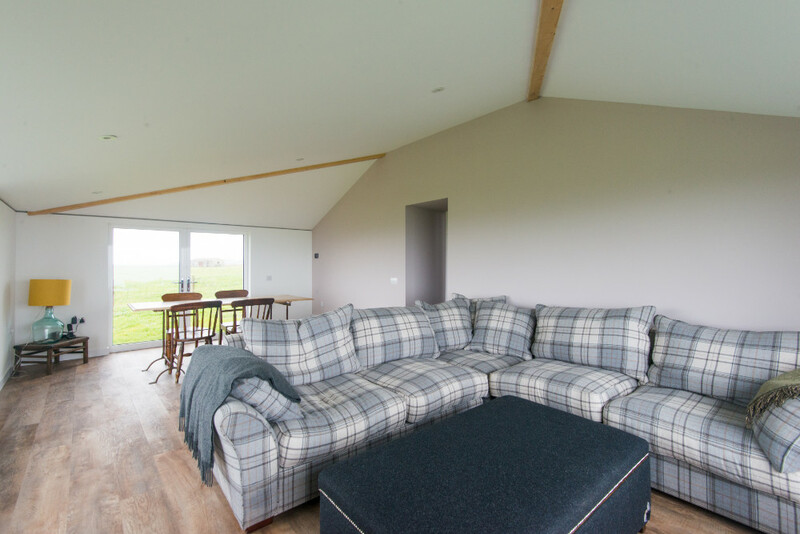 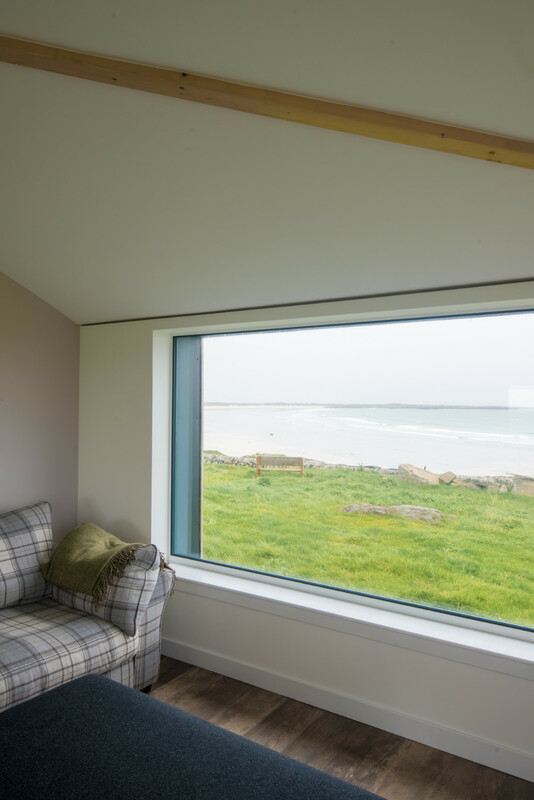 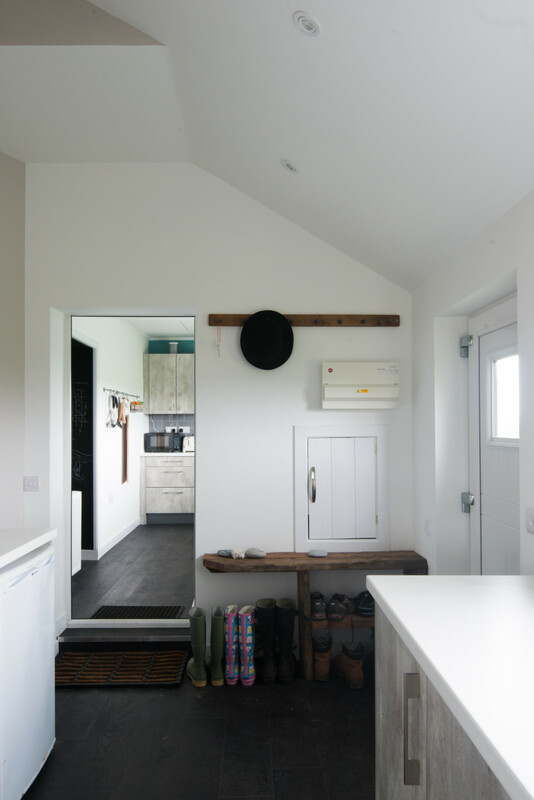 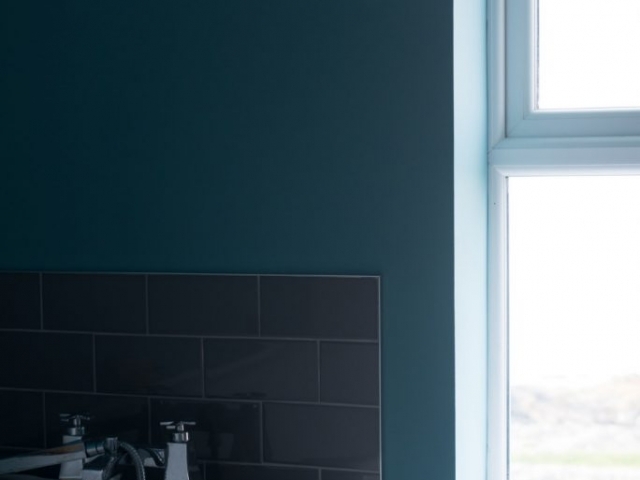 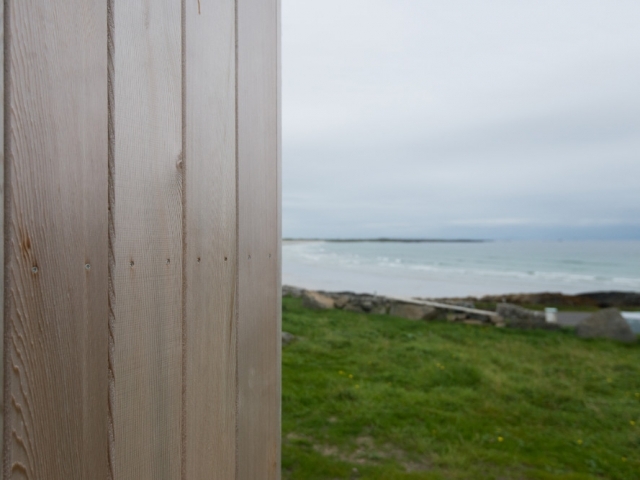 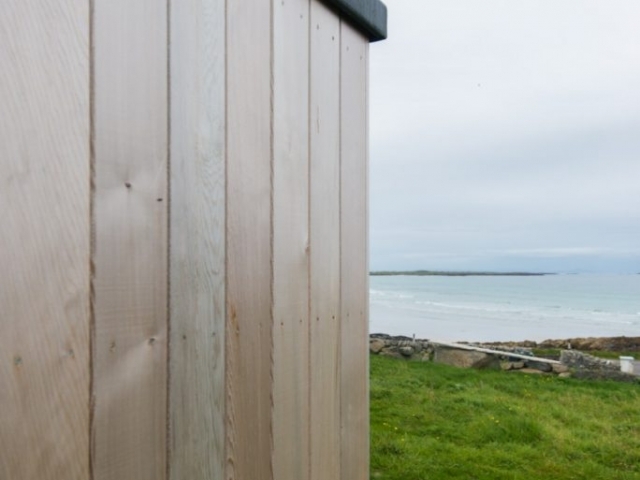 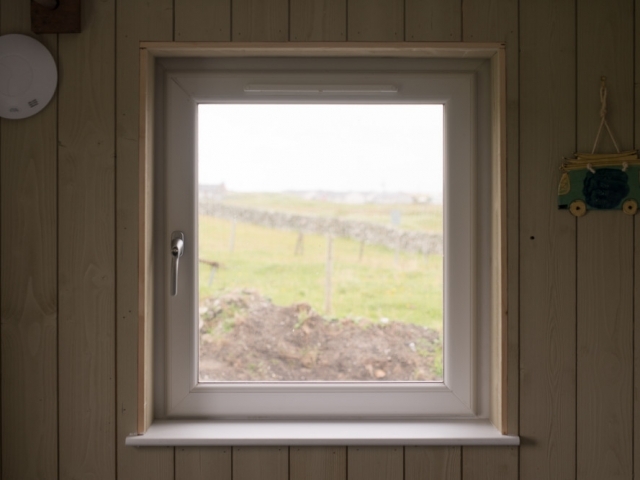 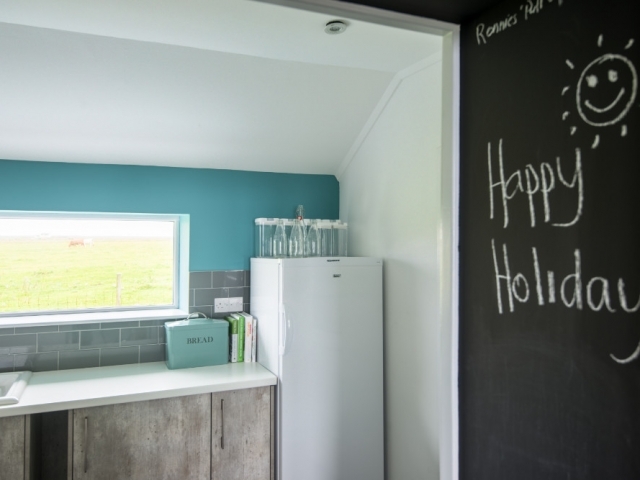 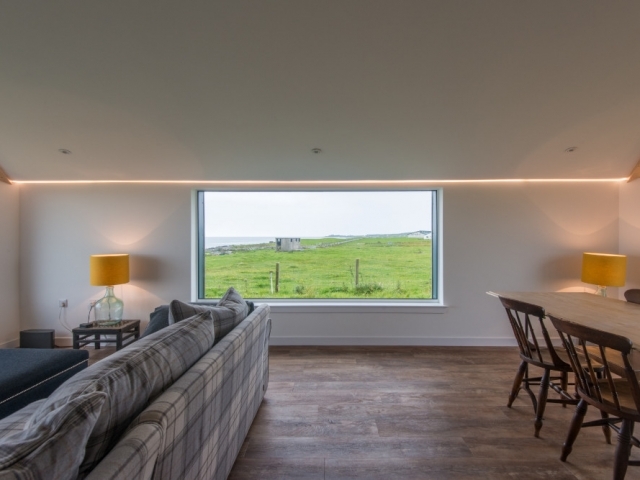 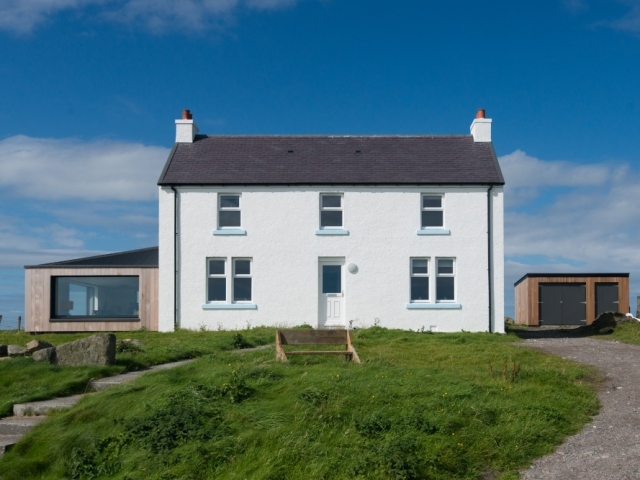 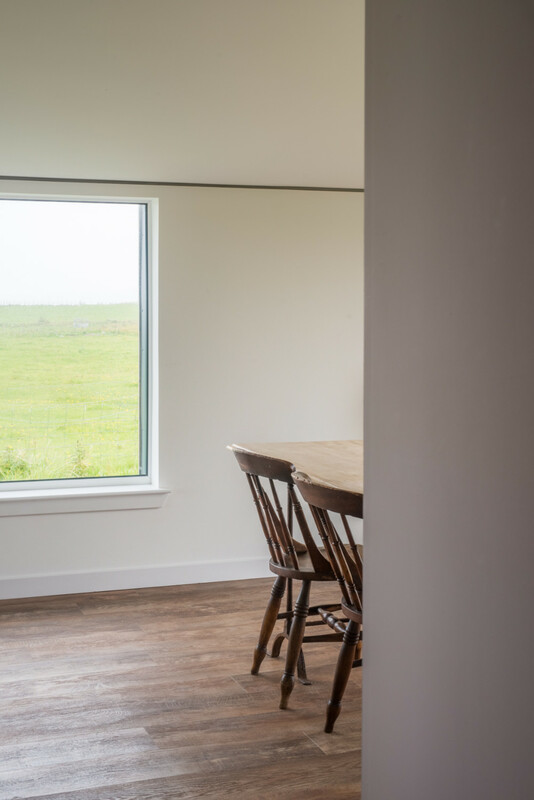 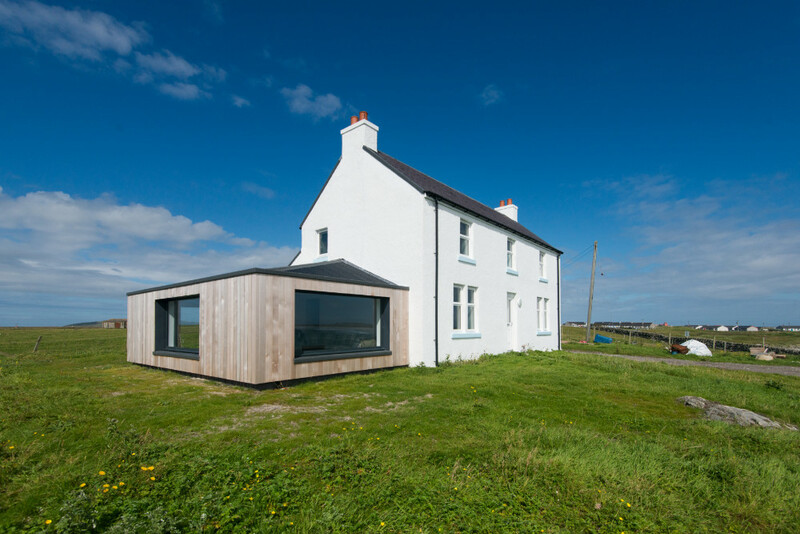 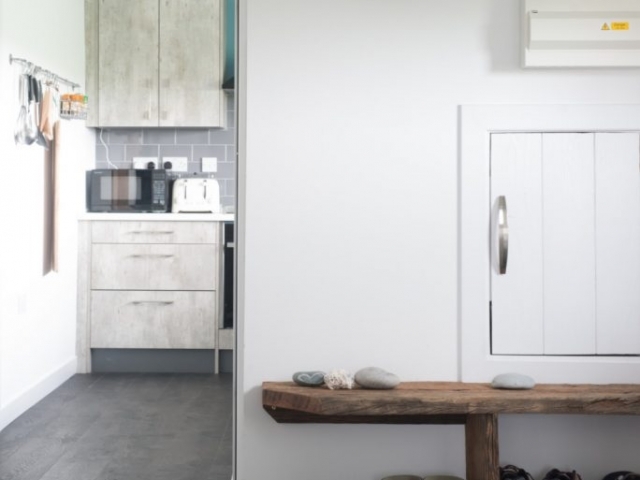 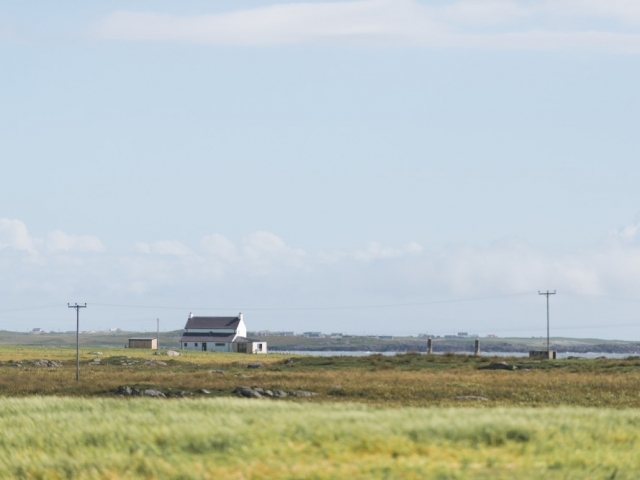 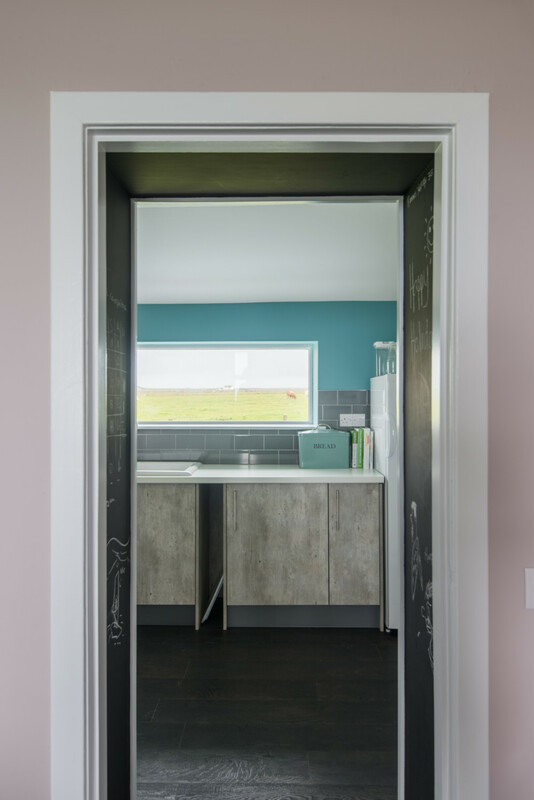 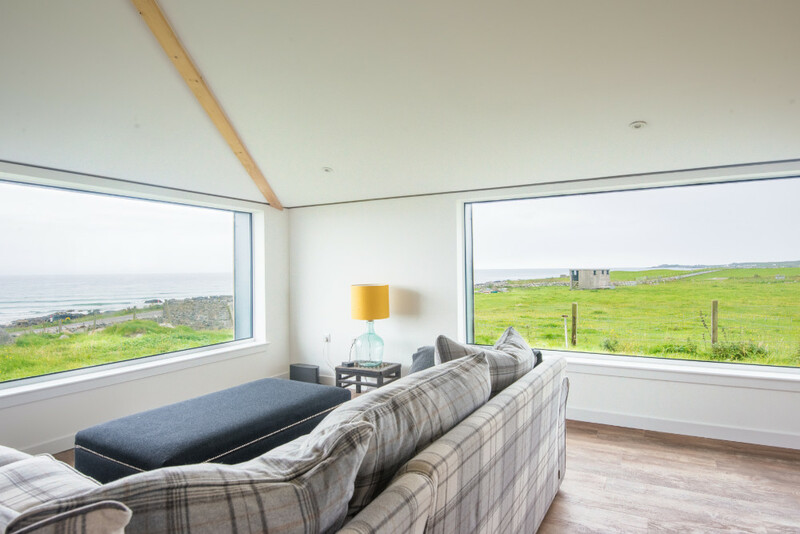 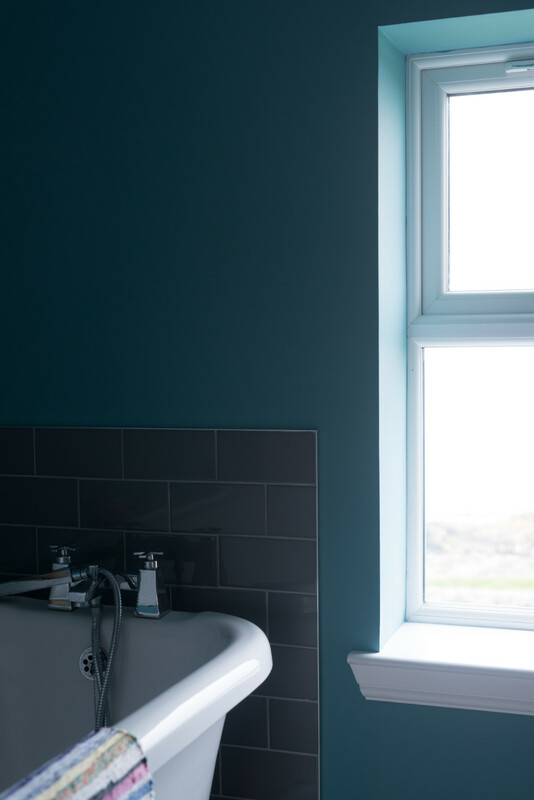 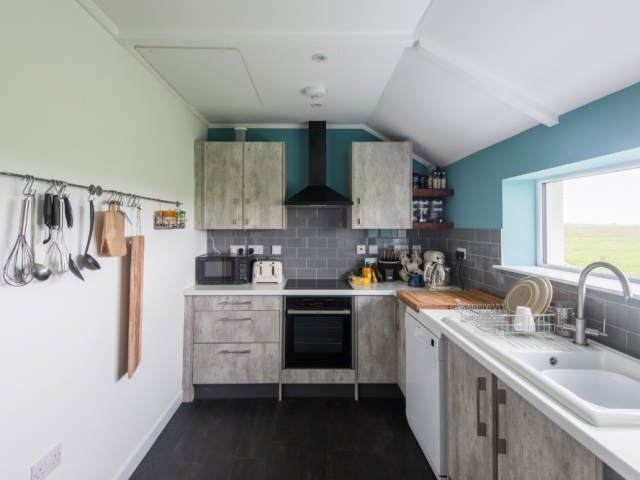 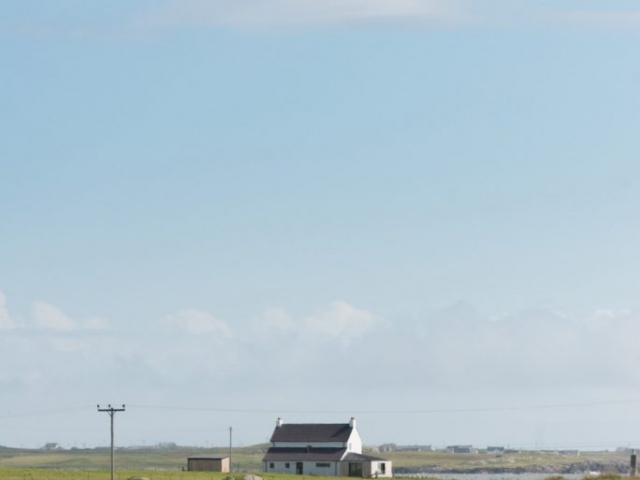 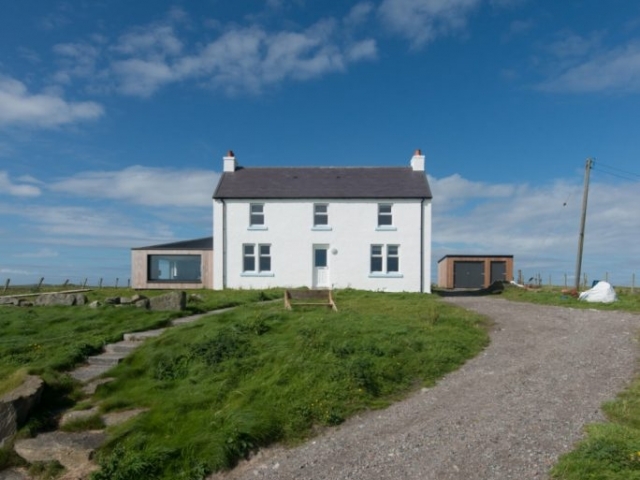 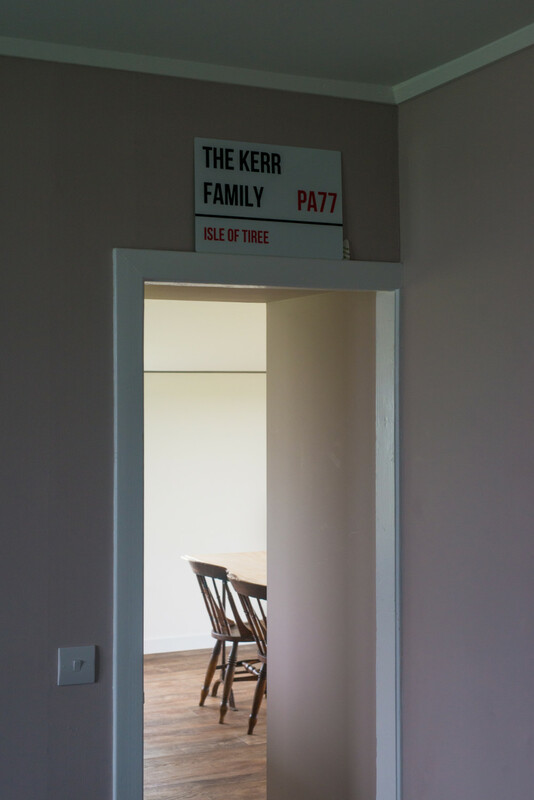 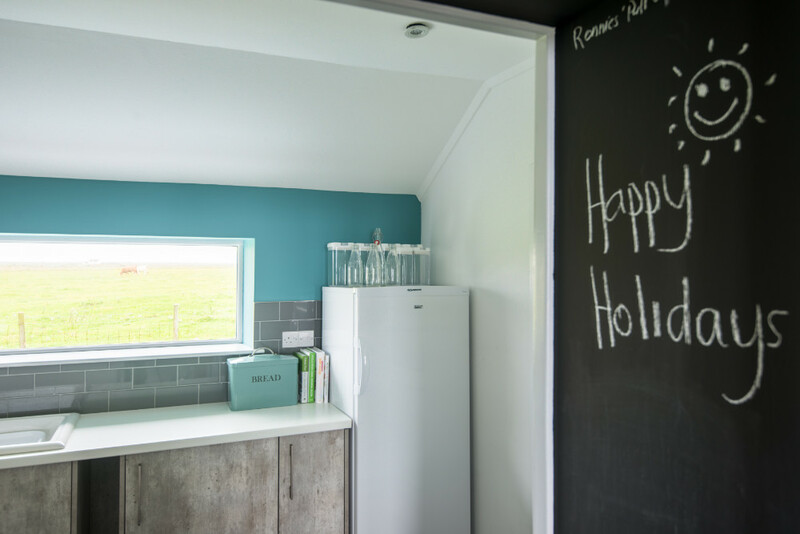 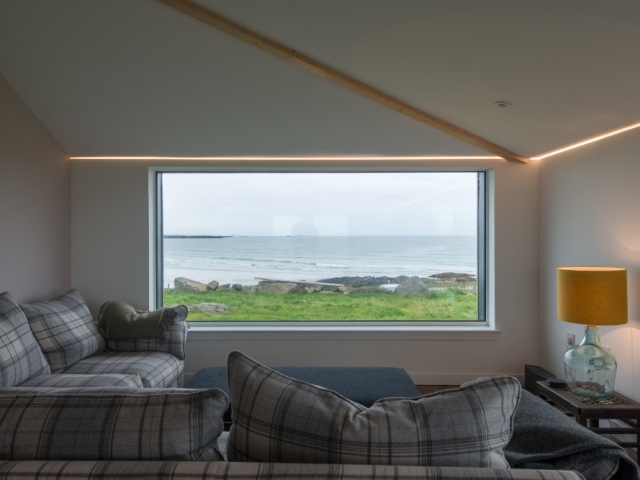 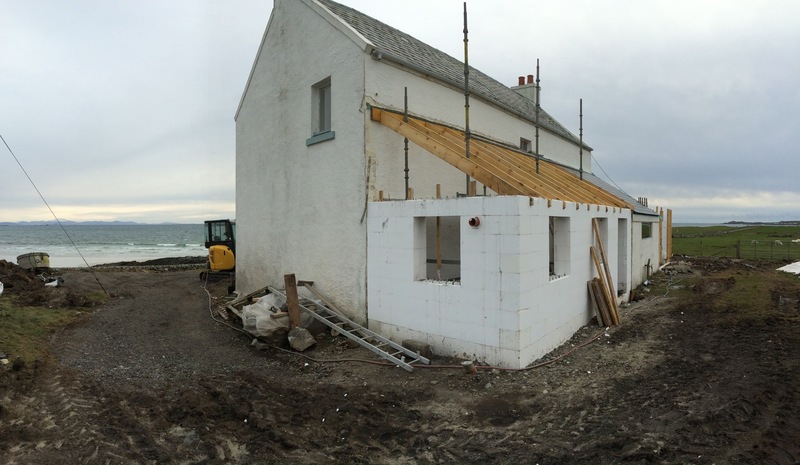 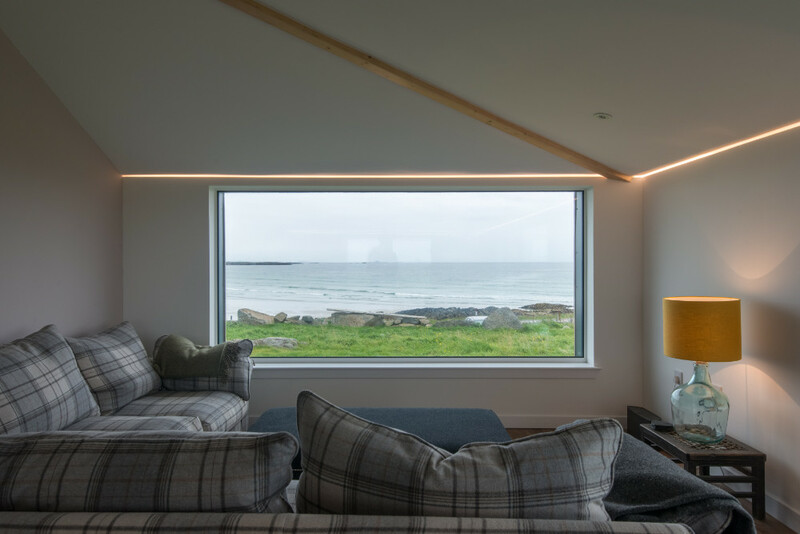 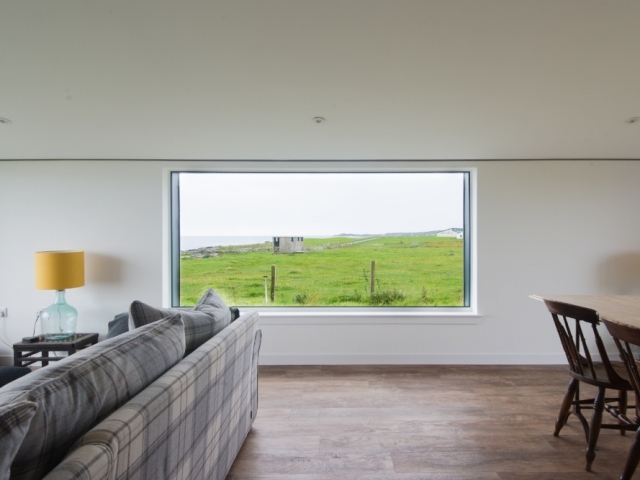 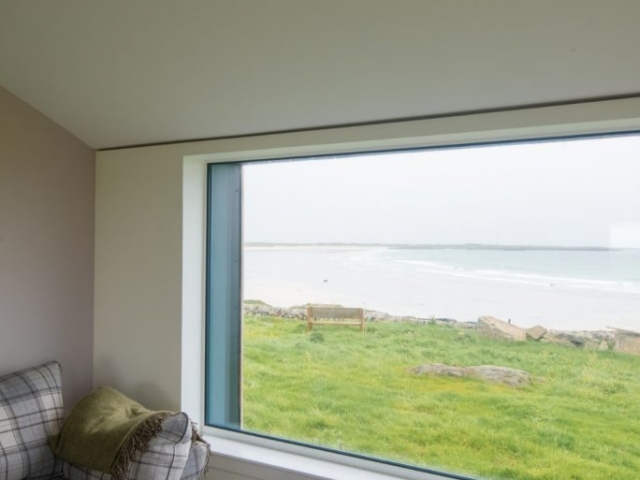 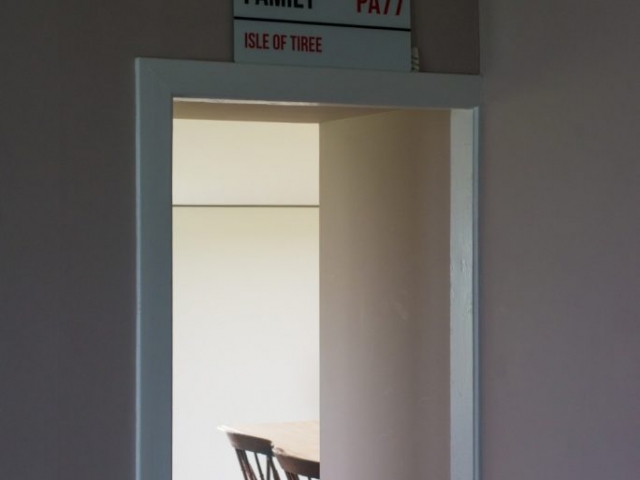 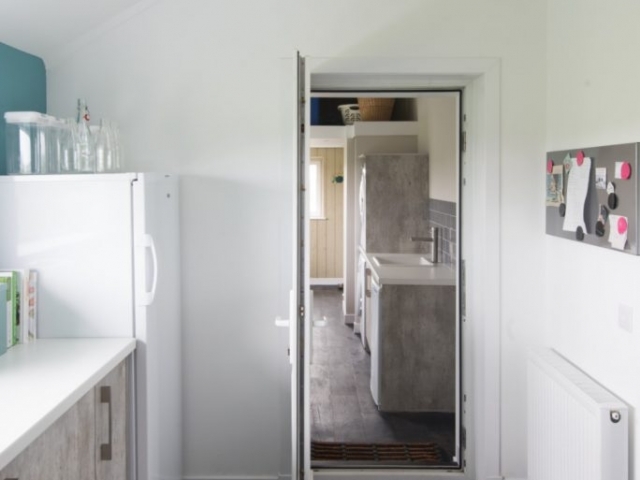 This project is the extension and refurbishment of an existing family home on the Isle of Tiree utilising the benefits of Rhodipor Ecobuild ICF. 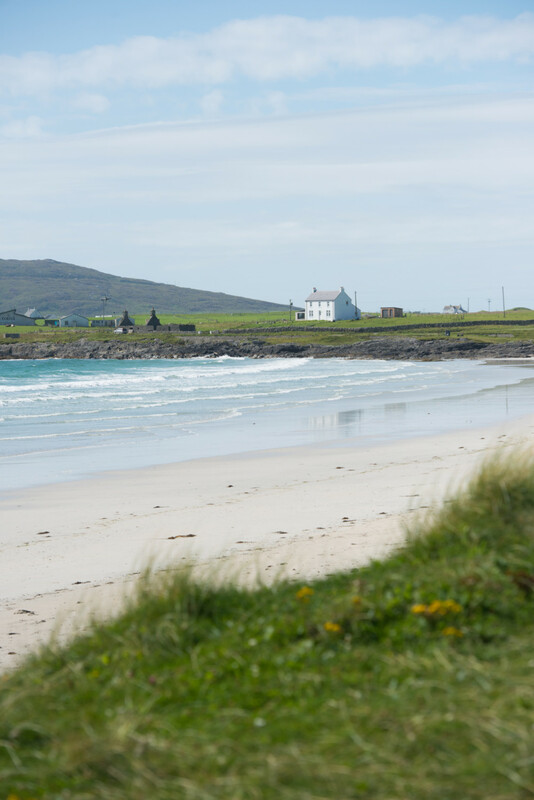 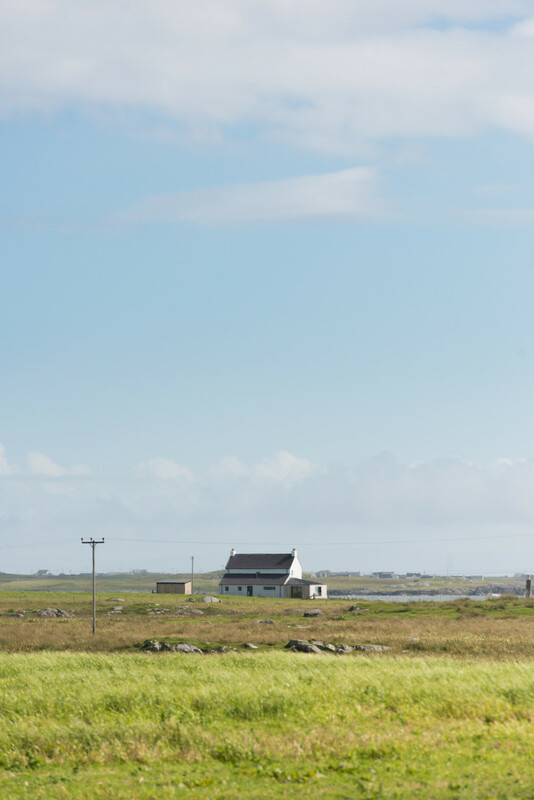 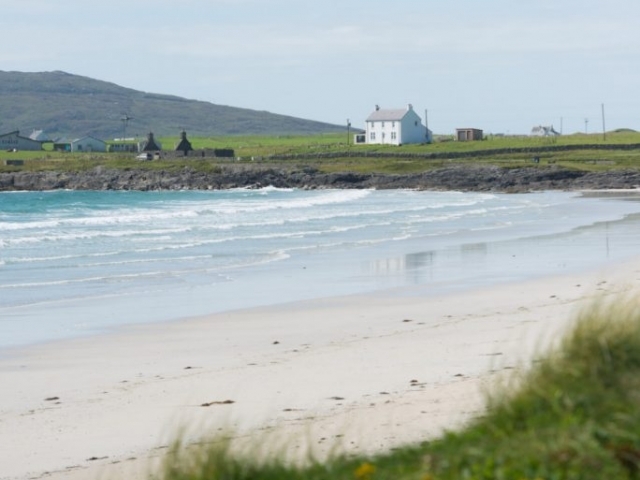 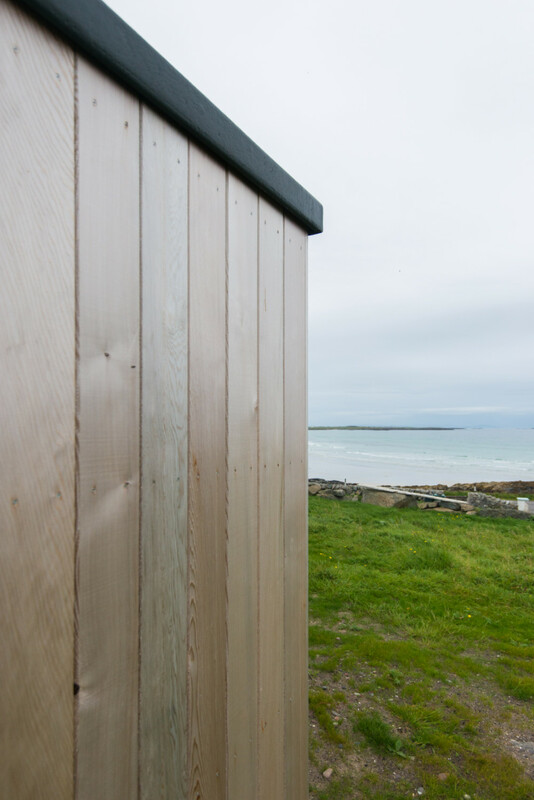 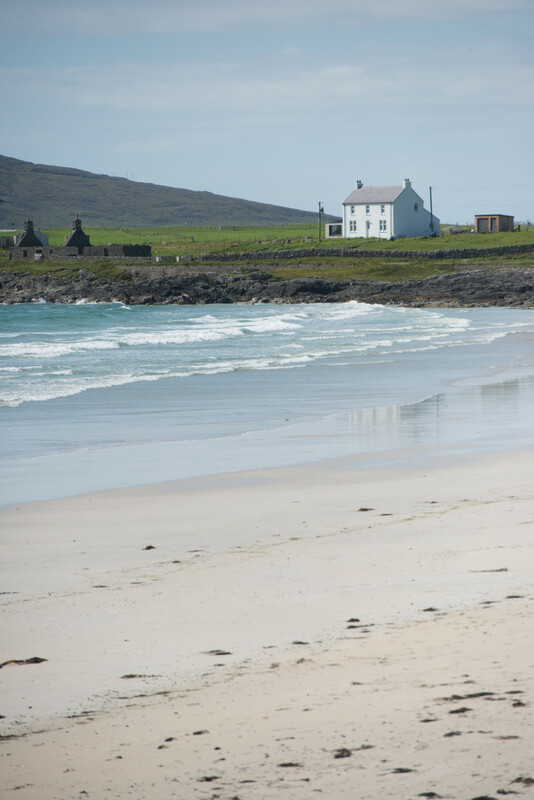 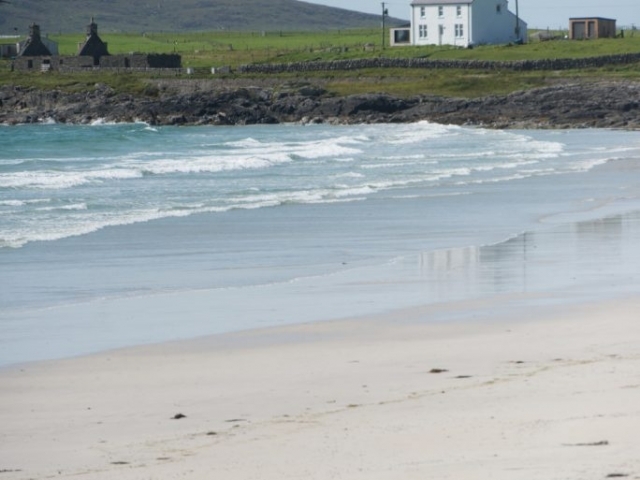 Tiree is a difficult place to build logistically as it is one of a cluster of islands forming part of the Inner Hebrides of Scotland. 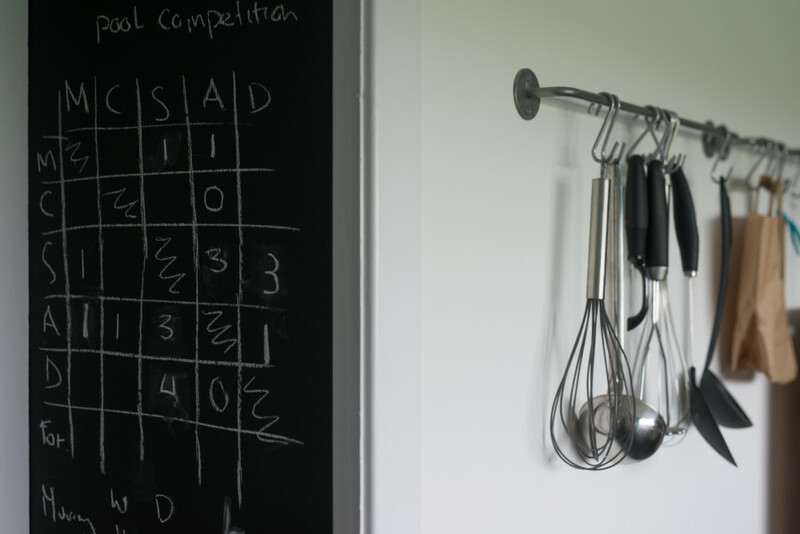 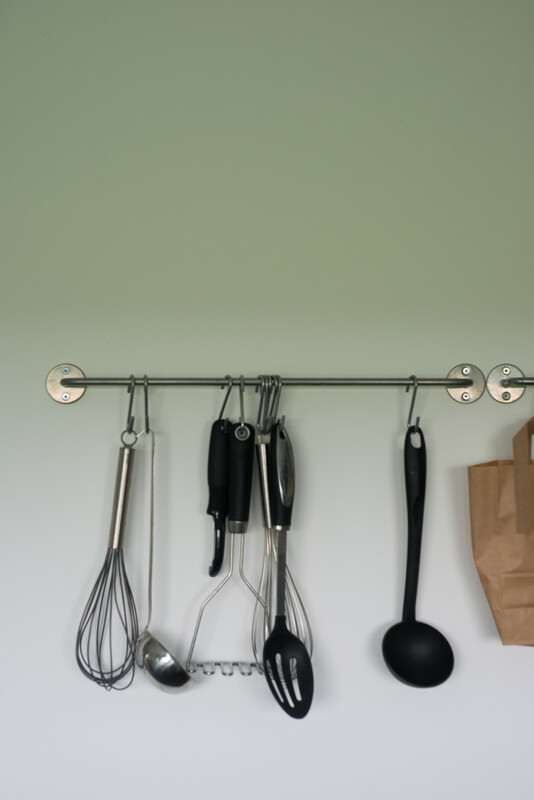 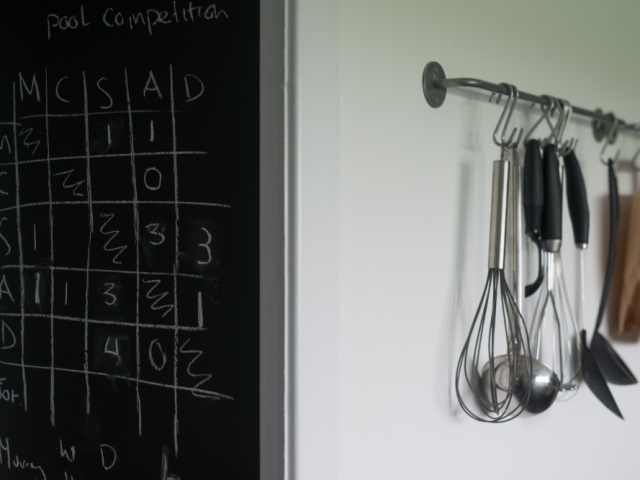 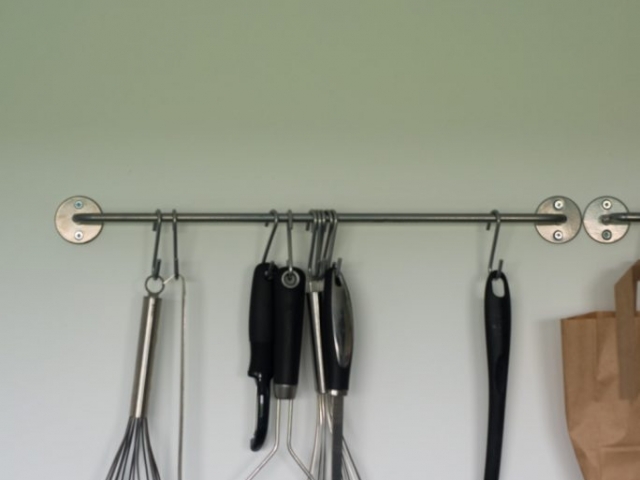 To deliver the project a local contractor was used who provided full construction services. 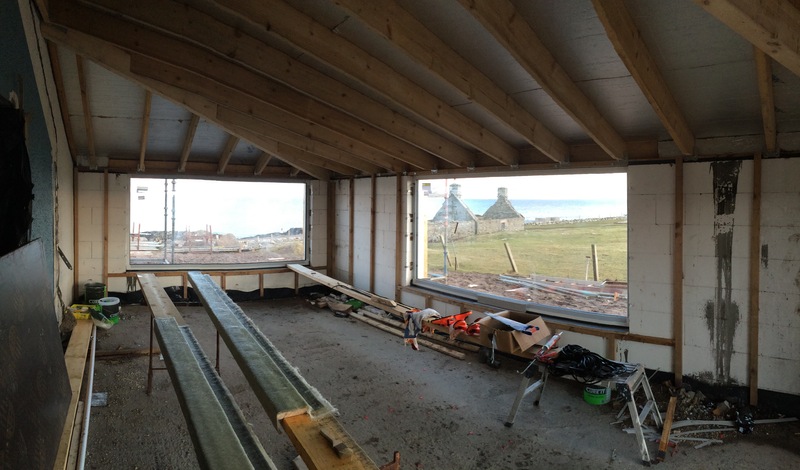 Working on an island local knowledge is invaluable, and we are always happy to recommend approved partners. 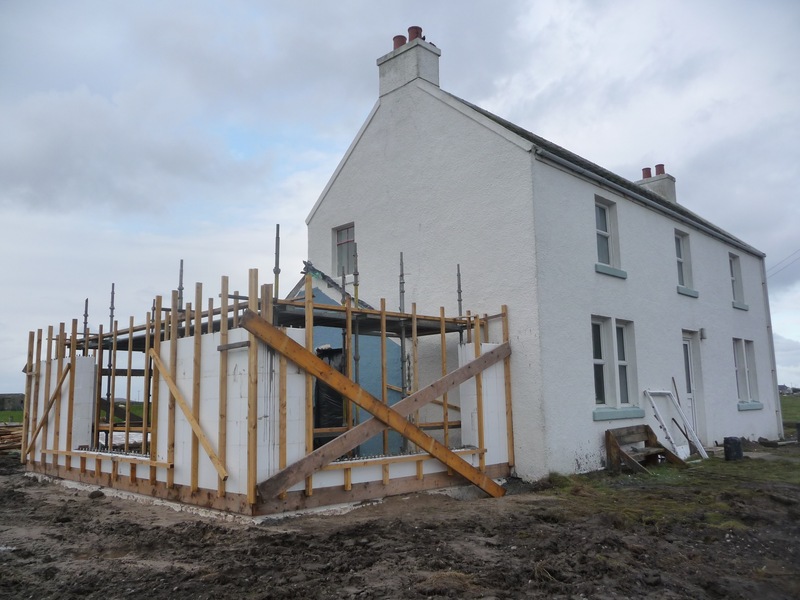 To construct the Rhodipor Ecobuild walls a traditional strip foundation was excavated into the earth. 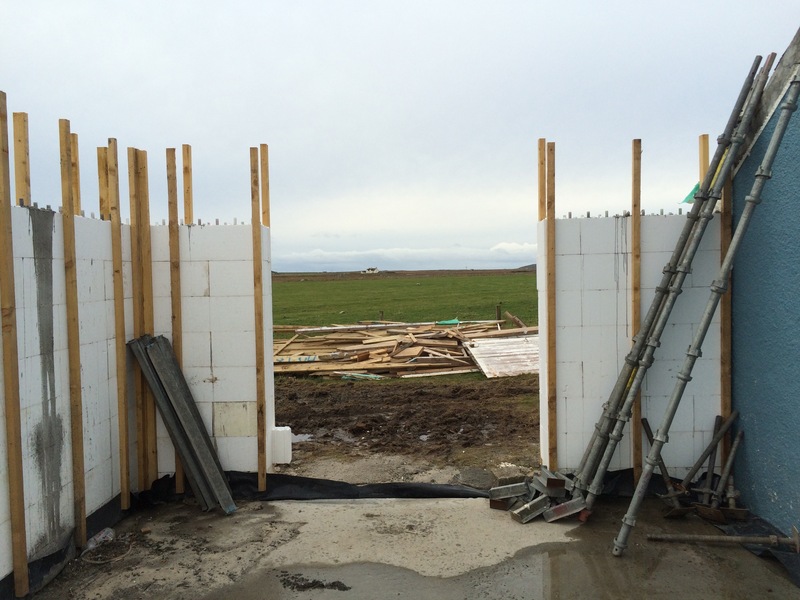 Below ground the 250mm wide thick walls were used up to ground level and at this point changed to 300mm wide to achieve the required U-values continuing up. 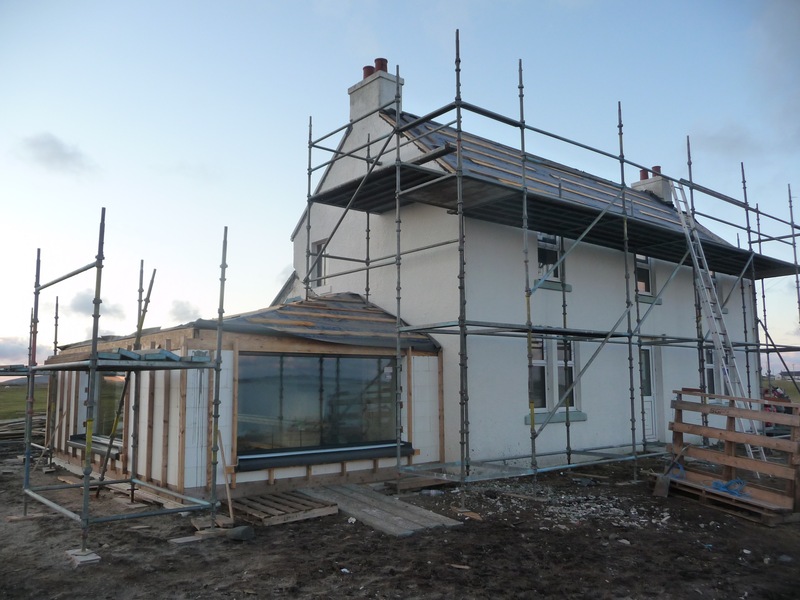 It should be noted that only the outer Rhodipor Ecobuild panel is changed leaving the concrete core and the internal panel as is. 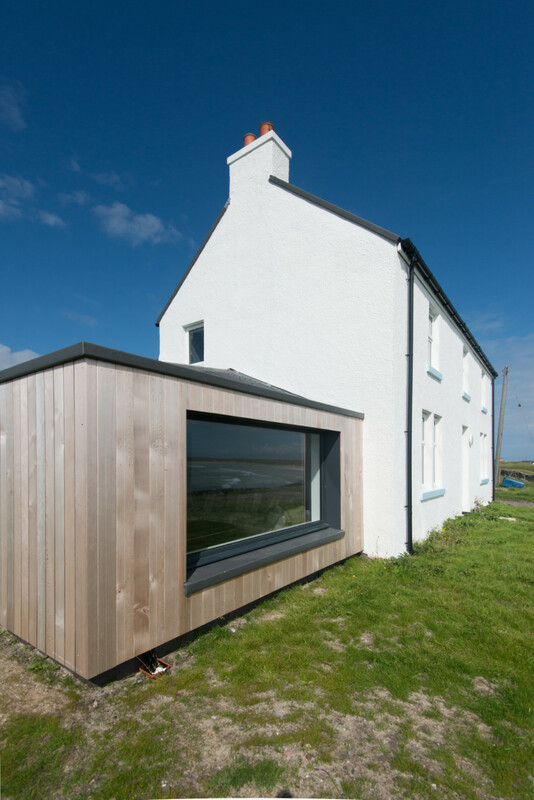 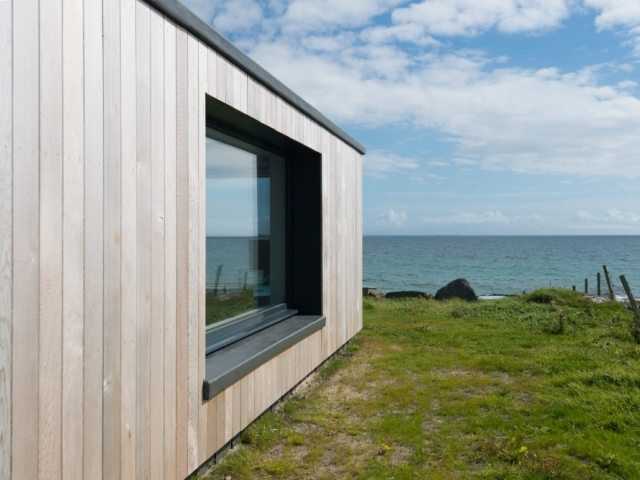 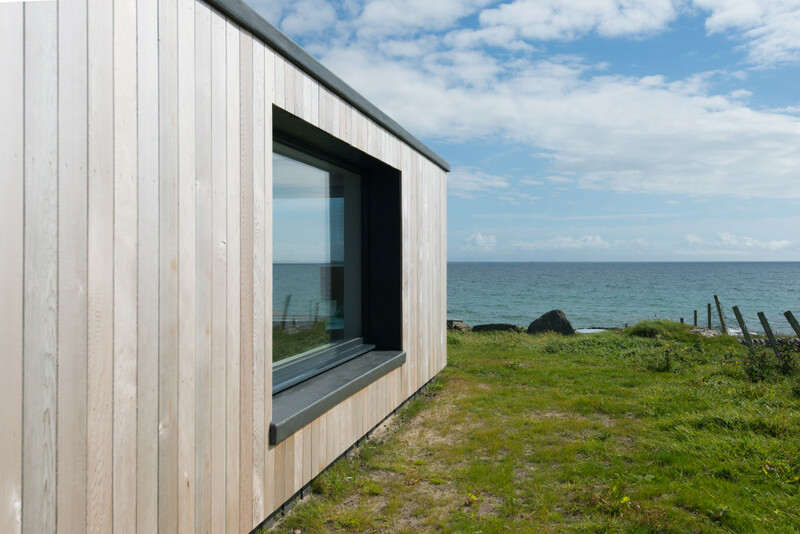 To blend seamlessly into the location and achieve a sympathetic, quality finish render and vertical timber cladding has been used. 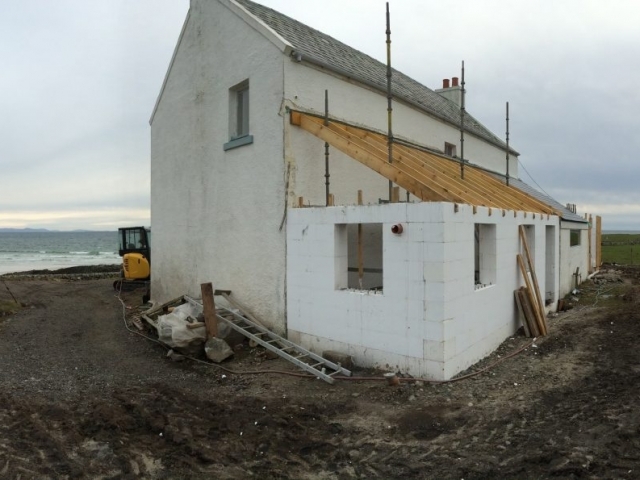 Render can be applied directly on to ICF, but we always recommend checking with the manufactures instructions. To apply the vertical timber cladding this was fixed to battens over counter battens directly to the concrete core.The double batten build-up allows the cladding to ventilate and drain any moisture that may penetrate the cladding. 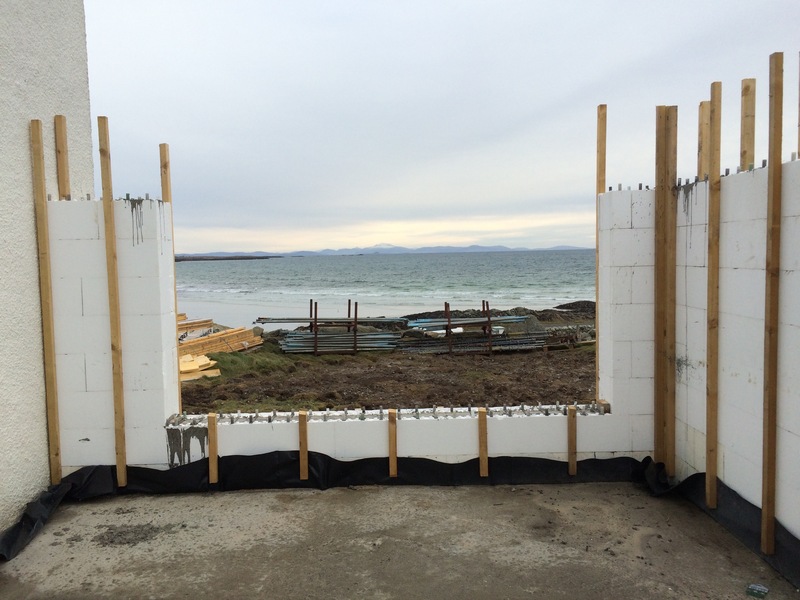 This does not damage the ICF it is strictly good practice when installing cladding. 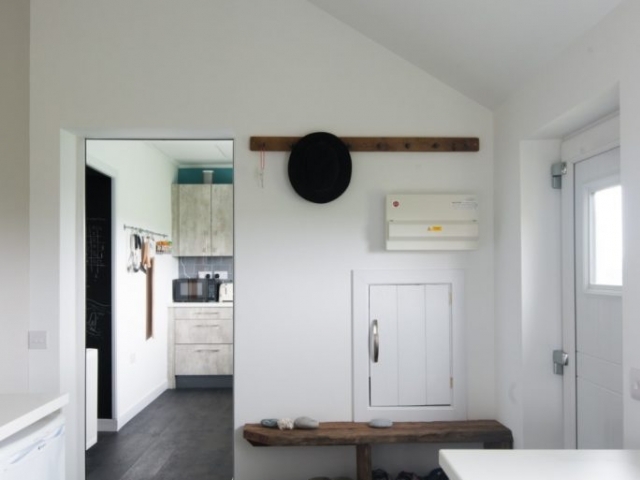 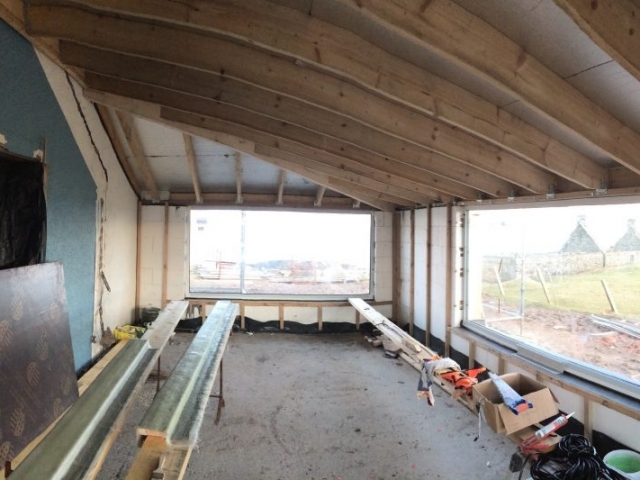 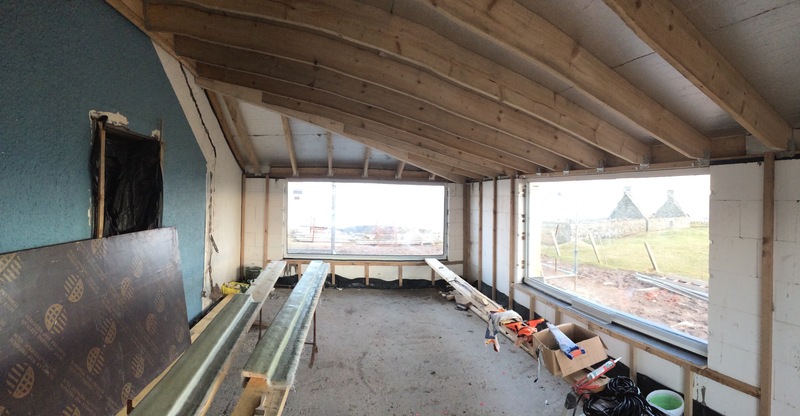 The cut roof to all sides of the extension provides great shape to the internal space. 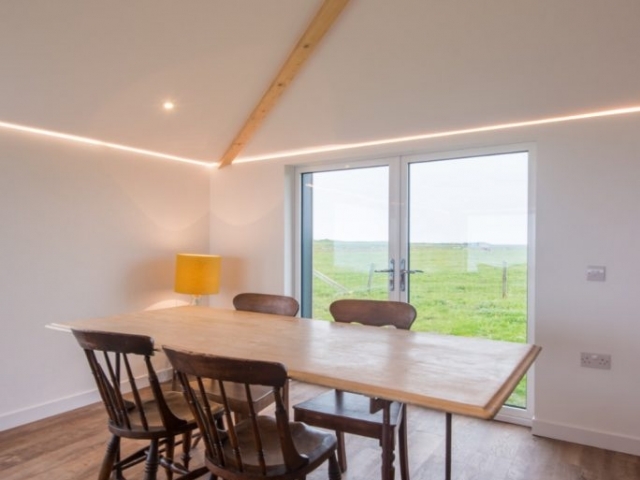 Lit in locations with LED strip lights finishes the home to a high standard. 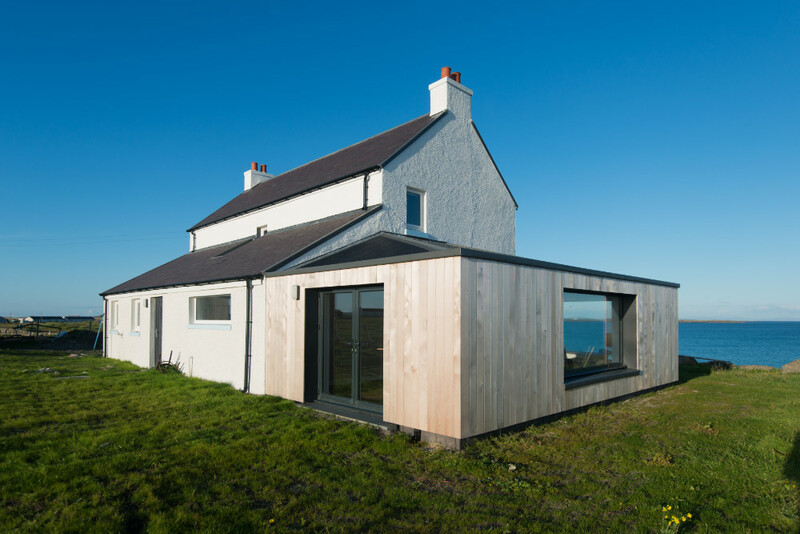 The contemporary extension compliments the existing property without detracting from the beauty of the location. 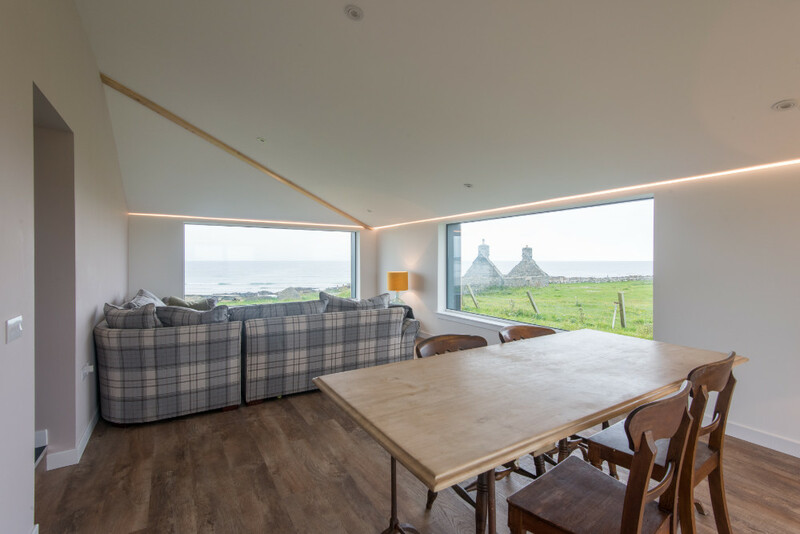 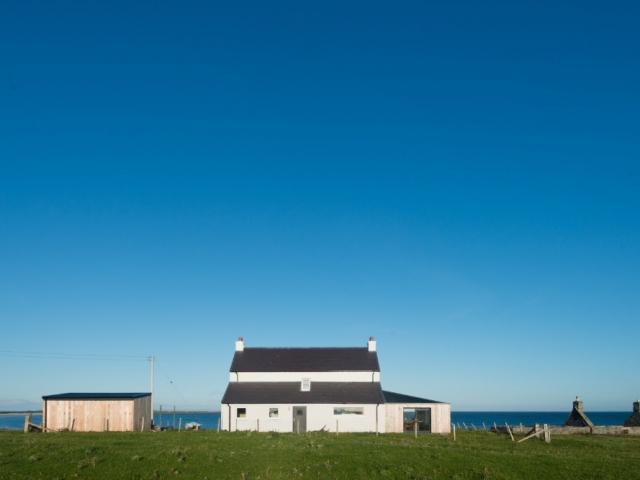 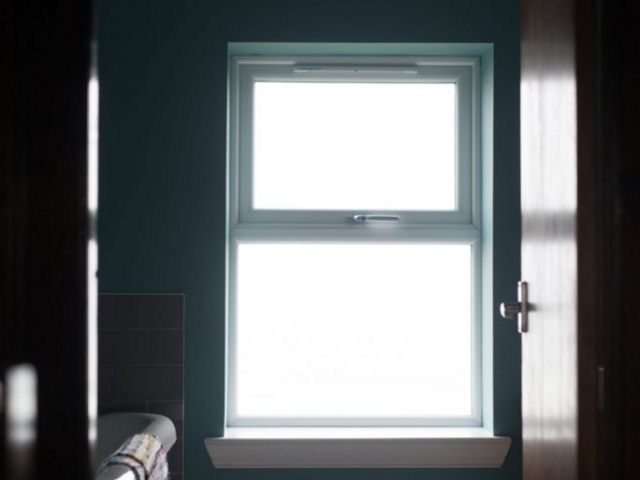 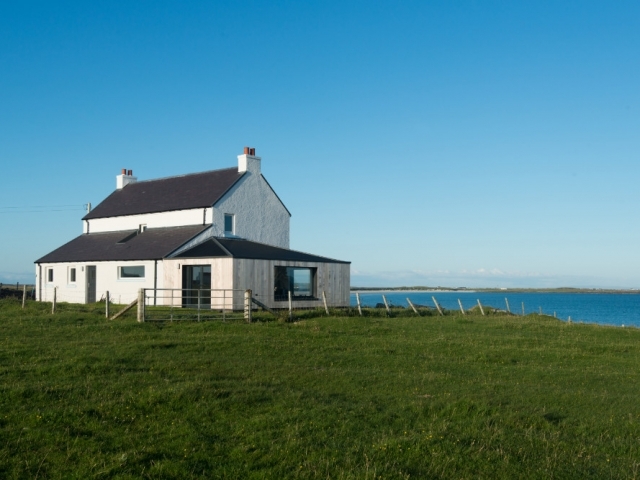 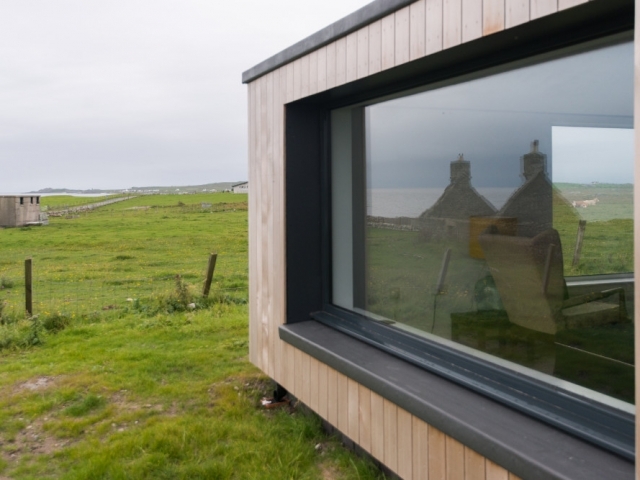 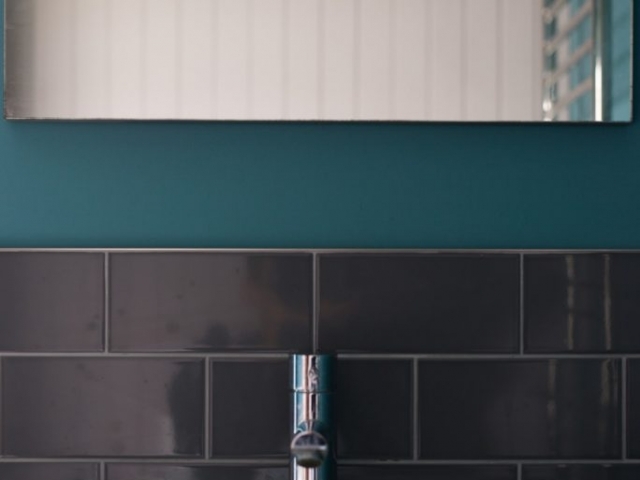 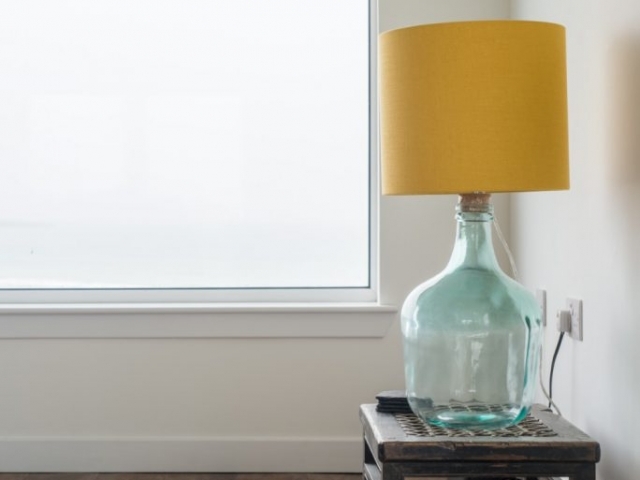 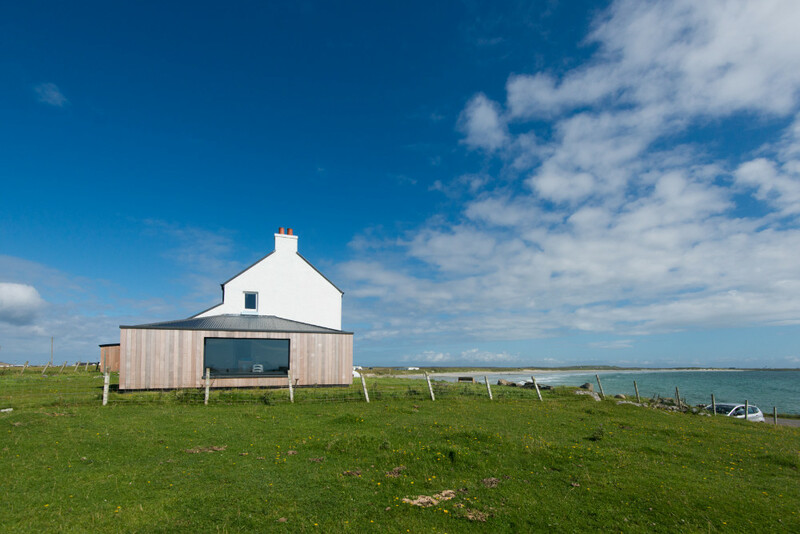 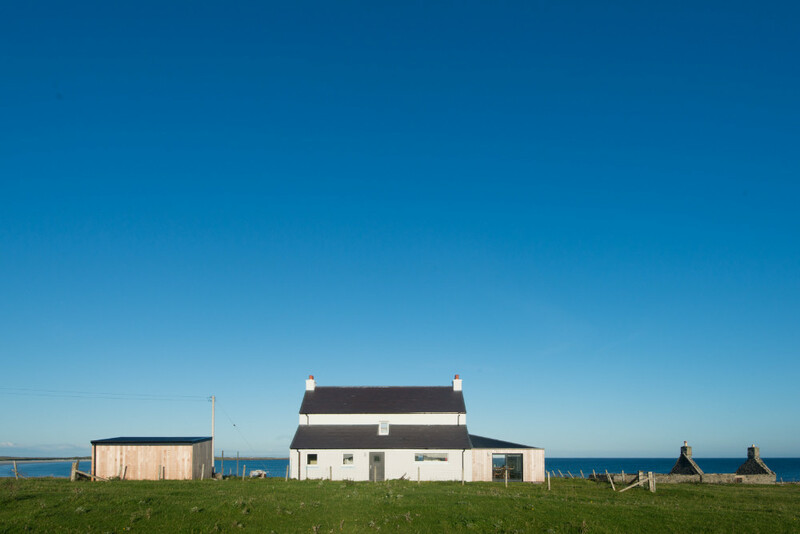 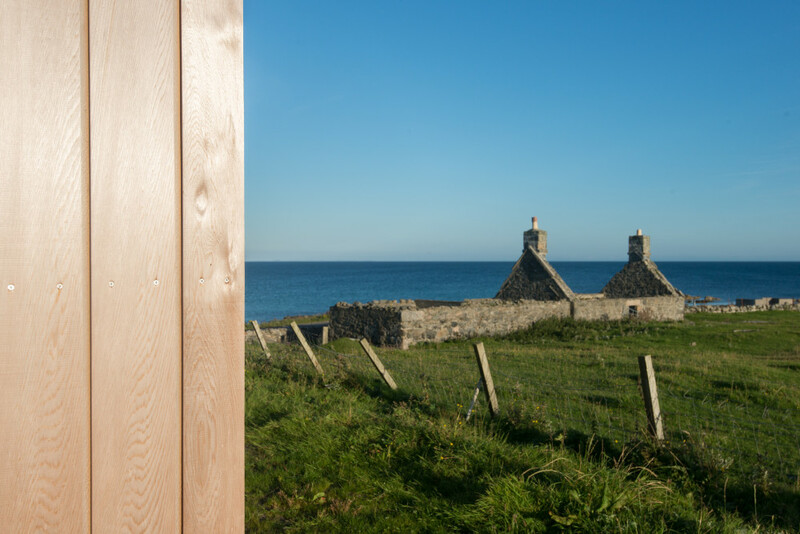 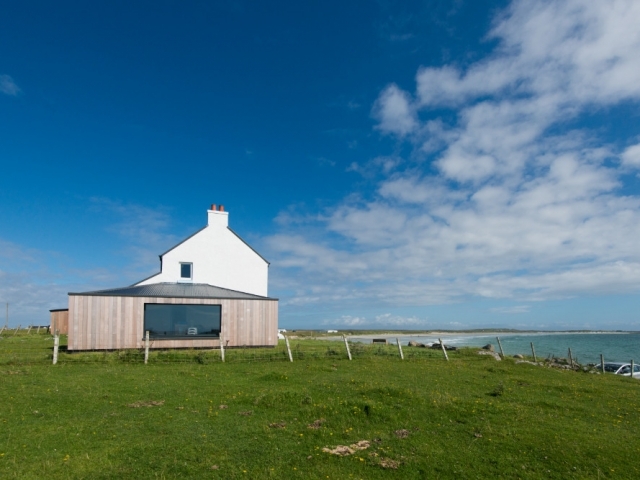 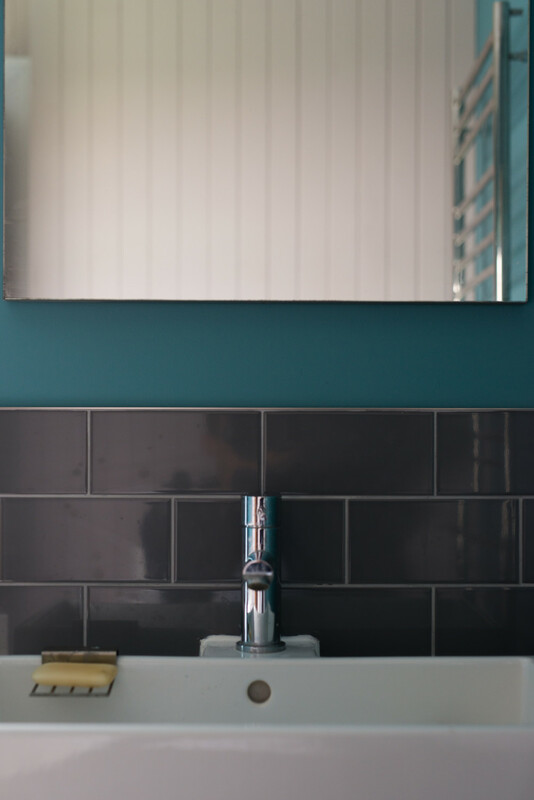 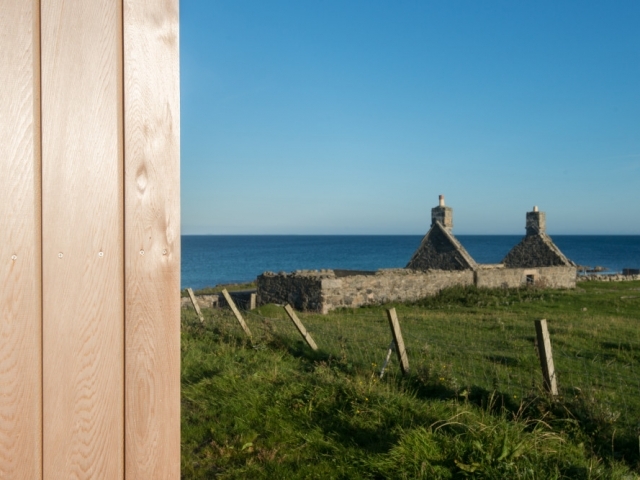 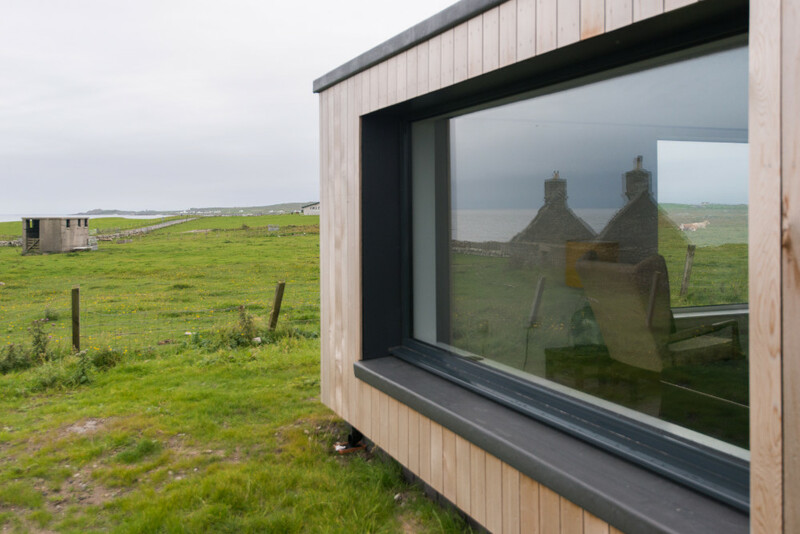 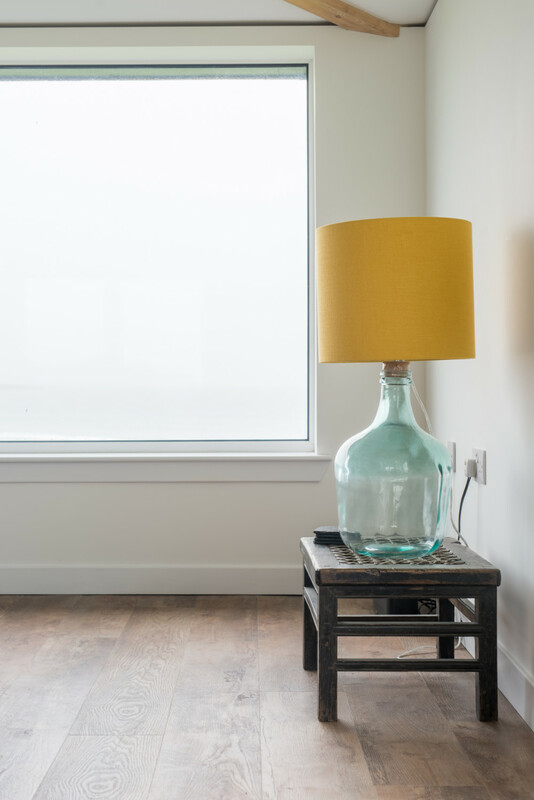 If you would like to know more about building and designing your project within the inner Hebrides we are happy to recommend local partners who understand and respect the locality. 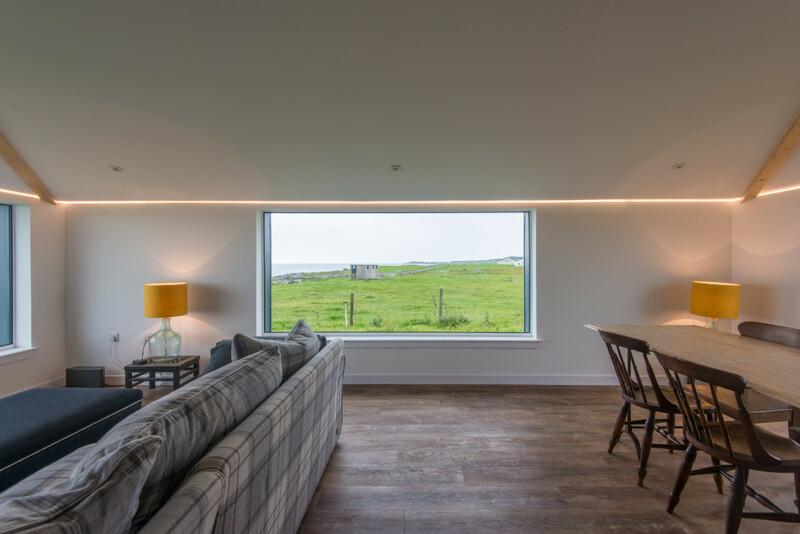 Special thanks should also be noted to whom continually provides excellent photographs of completed projects within the local area.